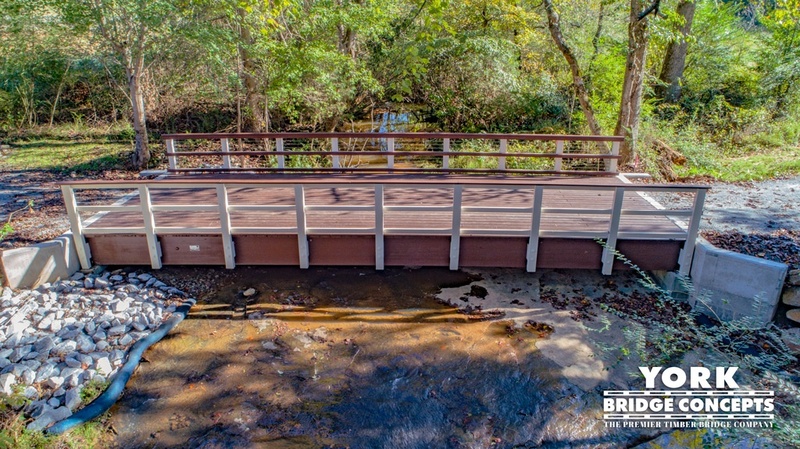 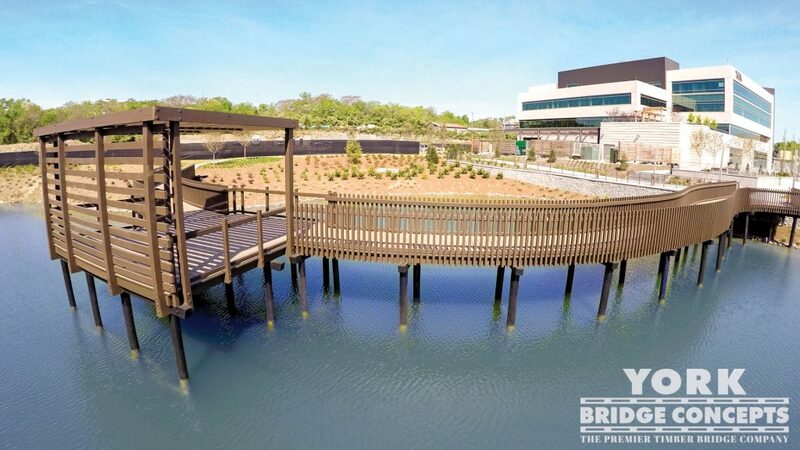 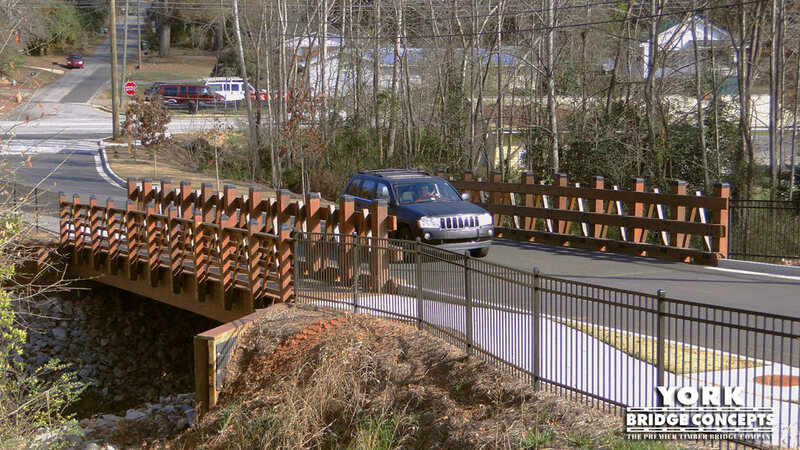 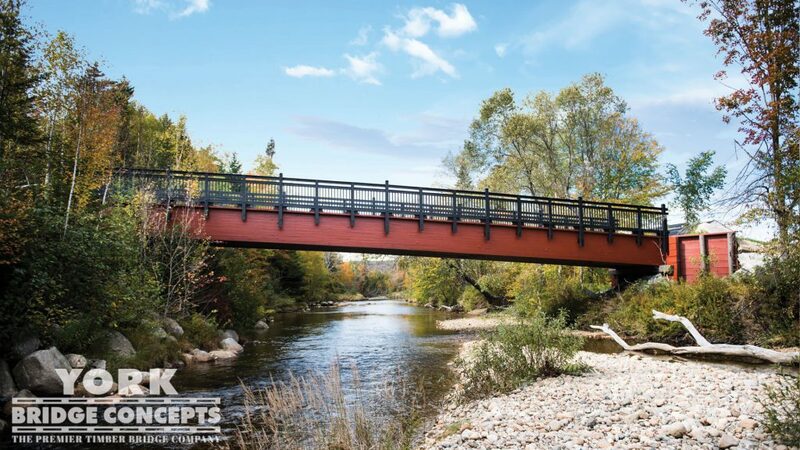 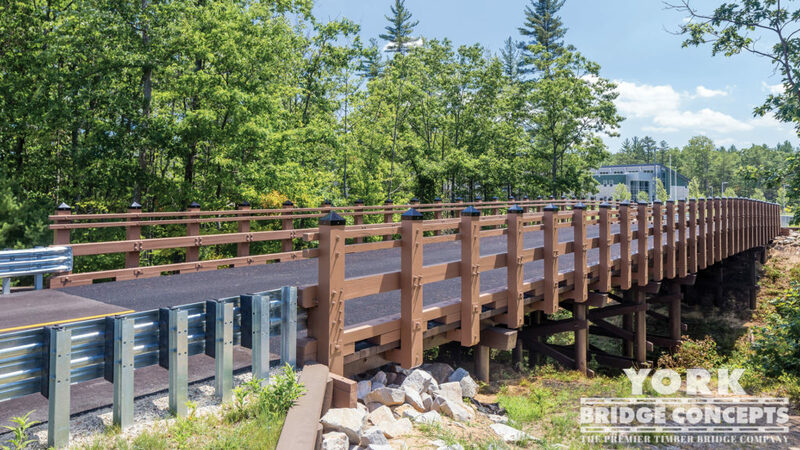 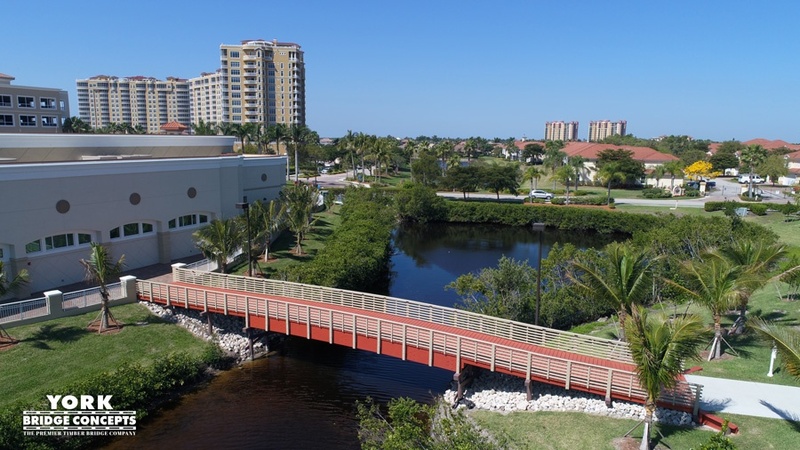 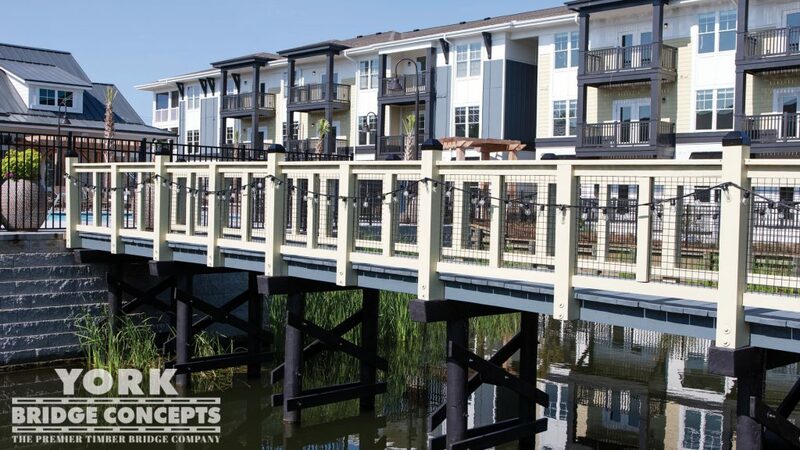 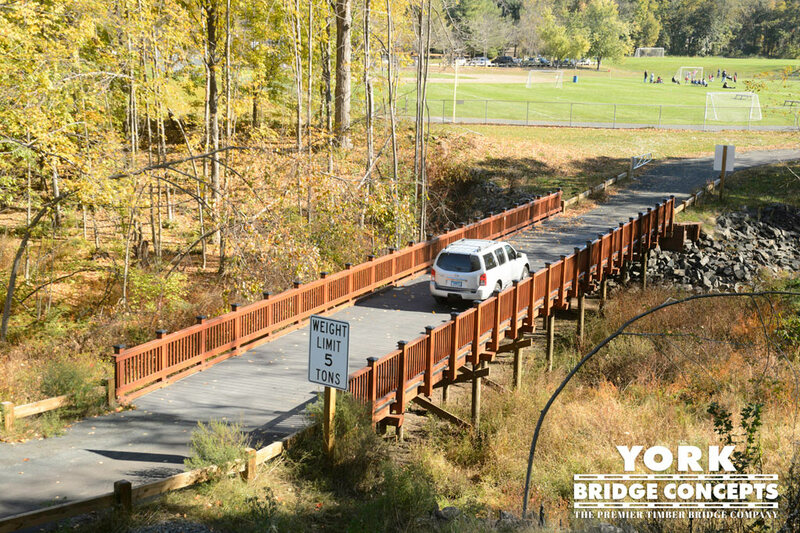 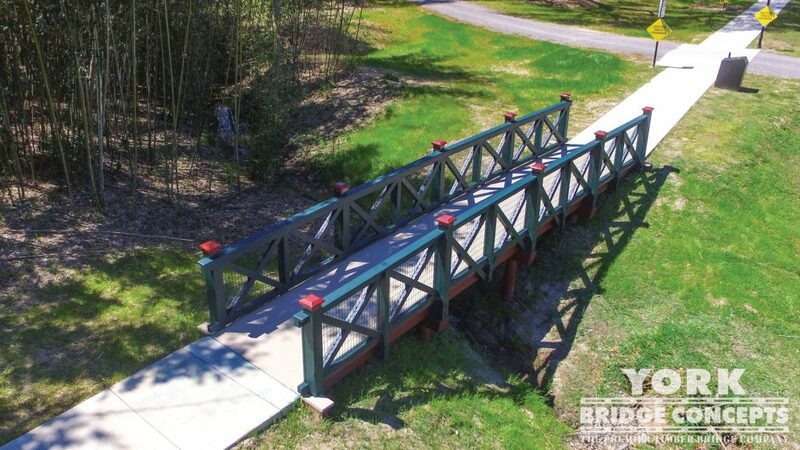 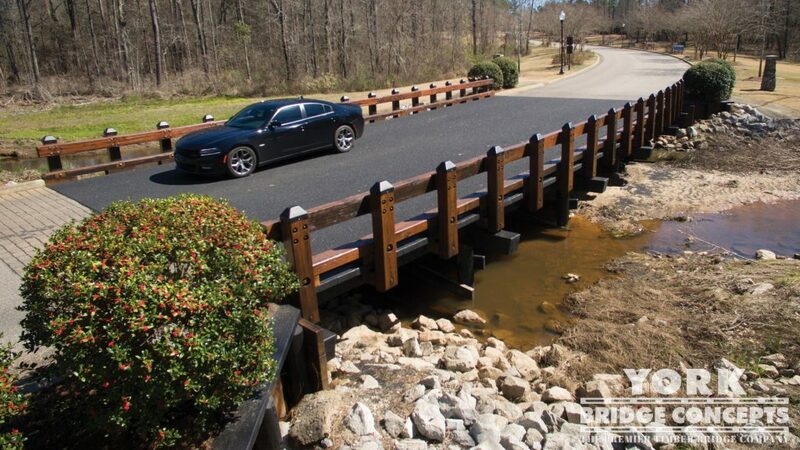 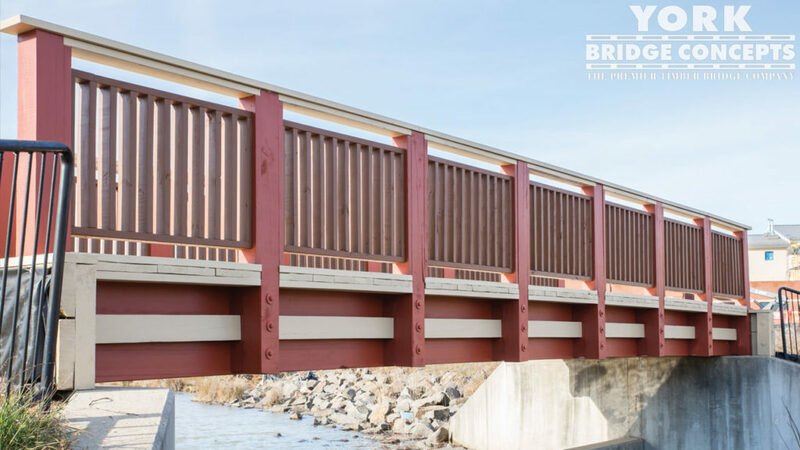 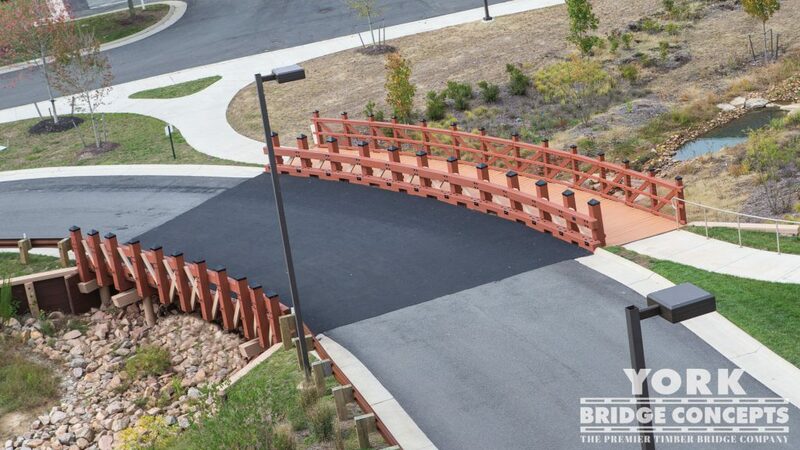 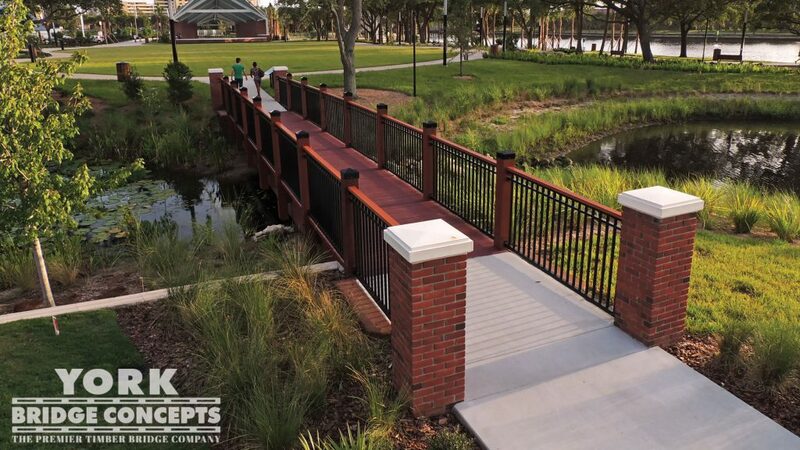 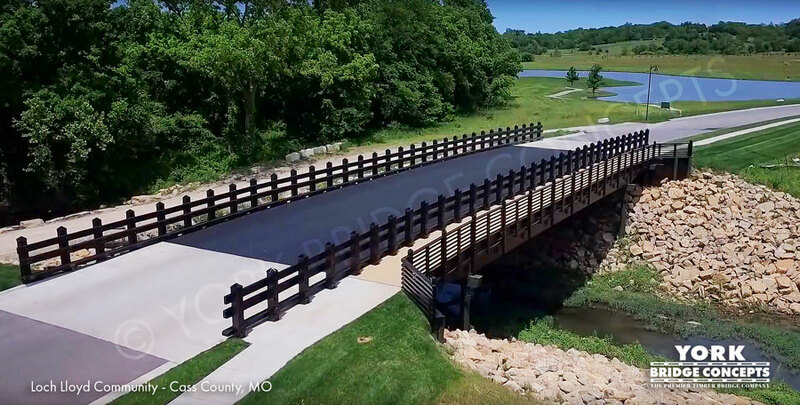 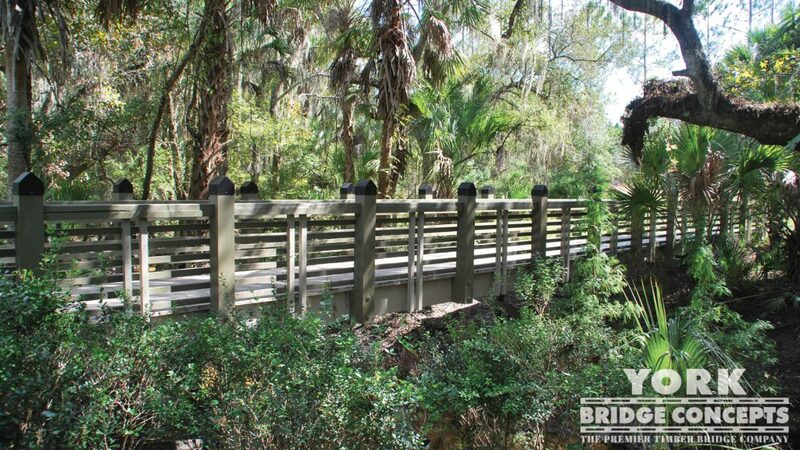 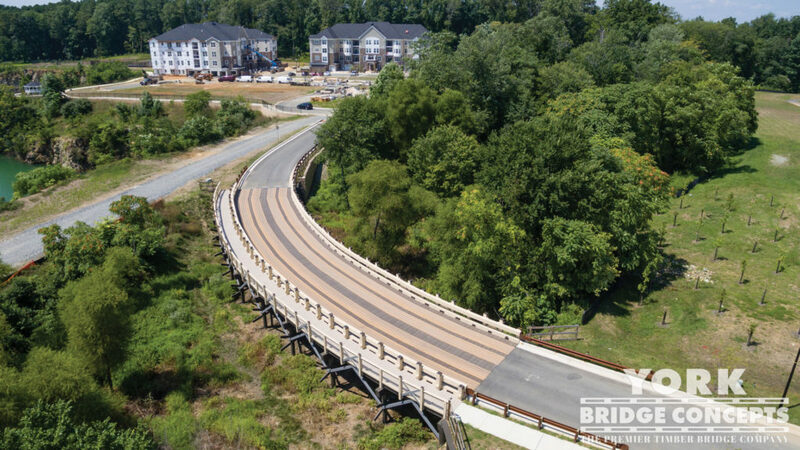 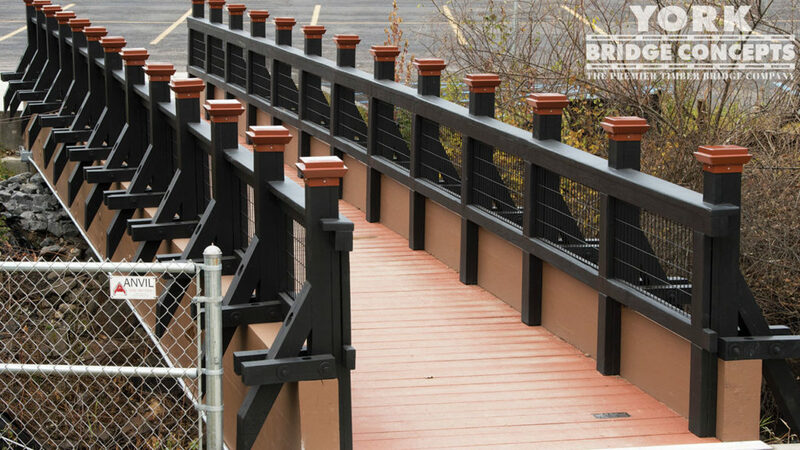 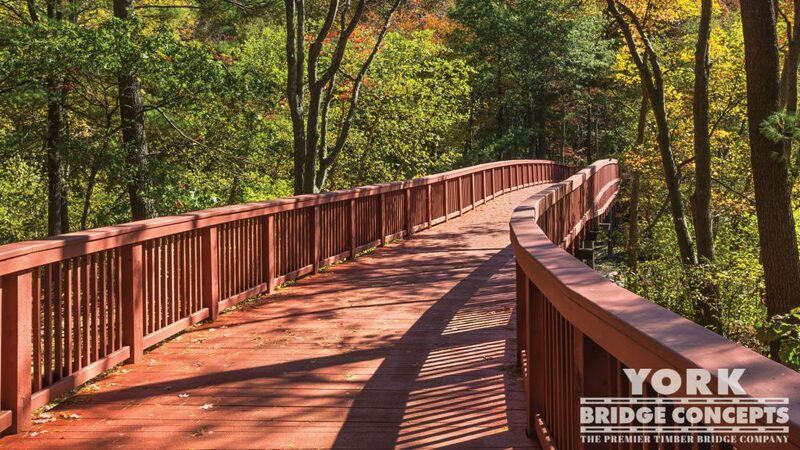 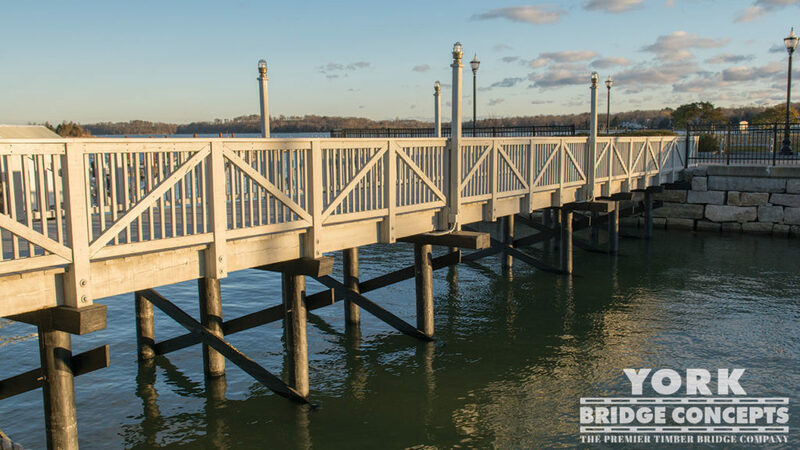 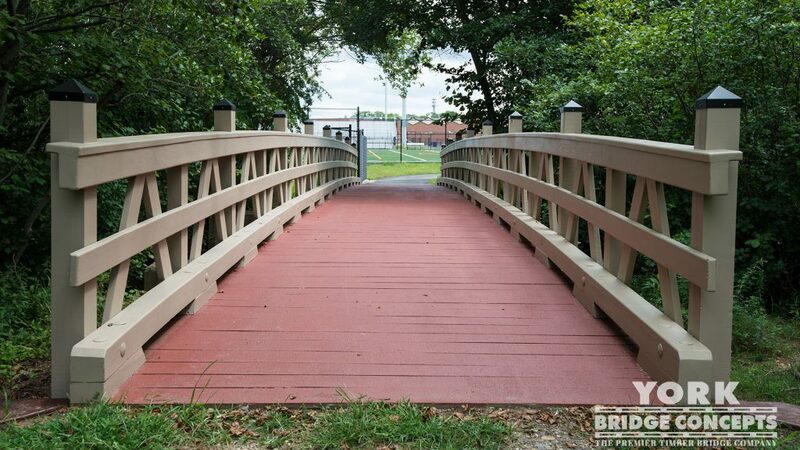 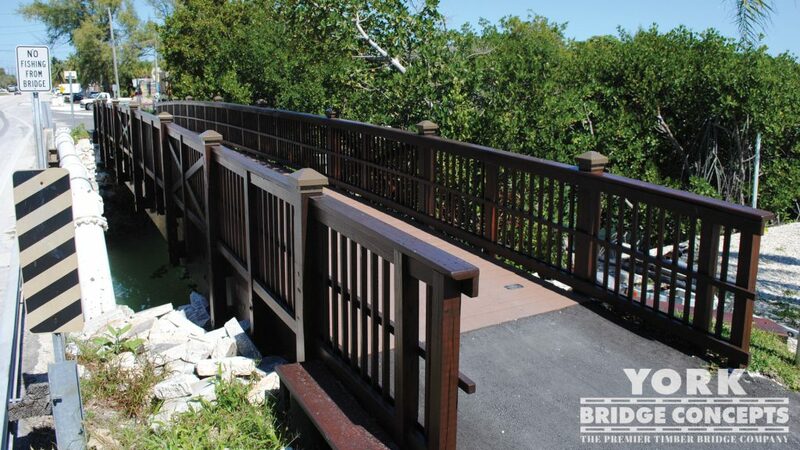 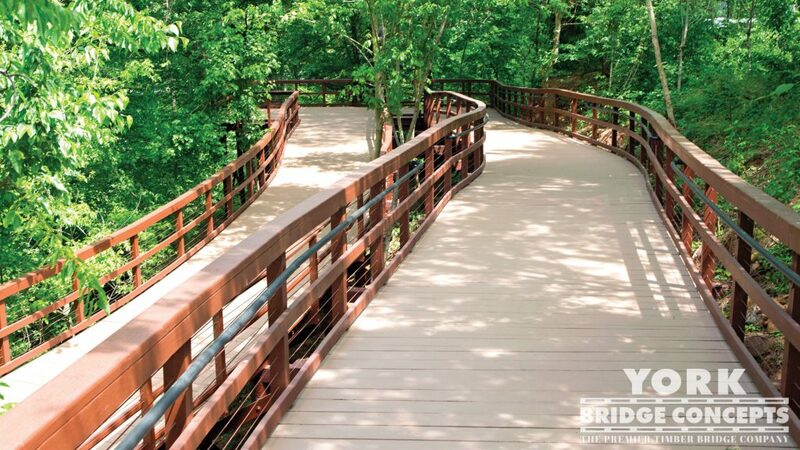 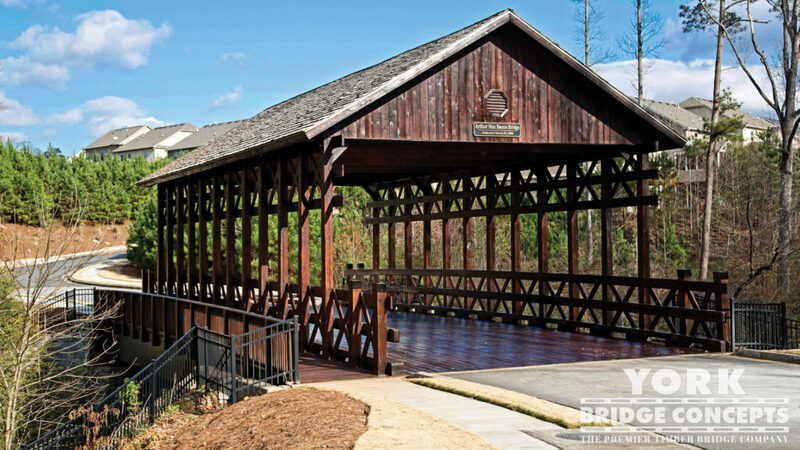 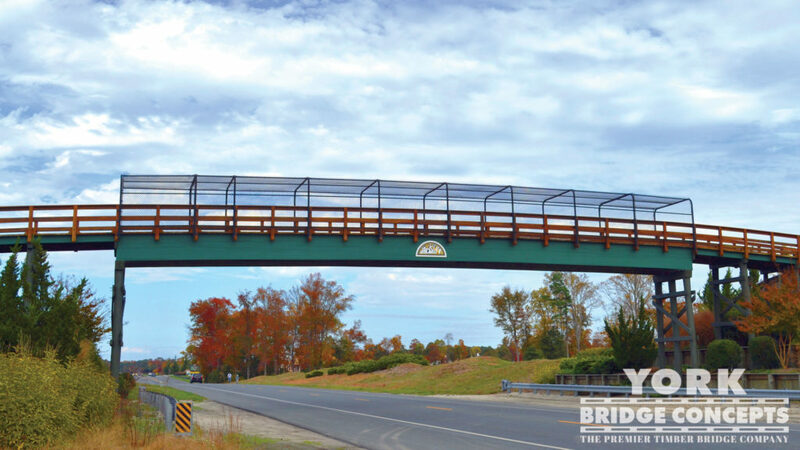 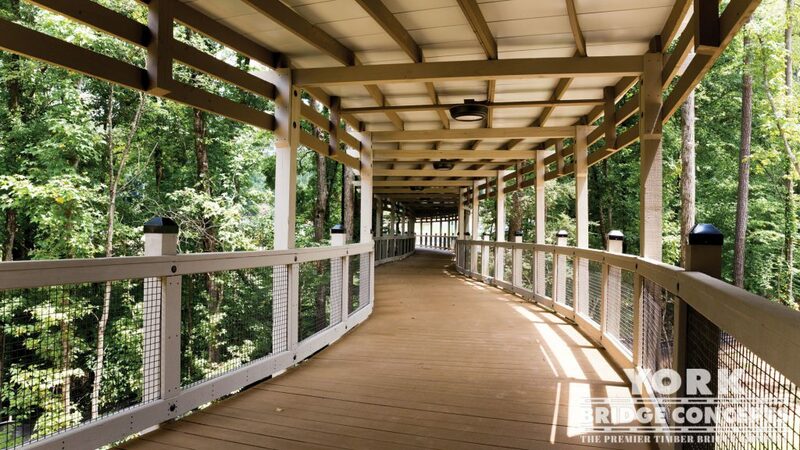 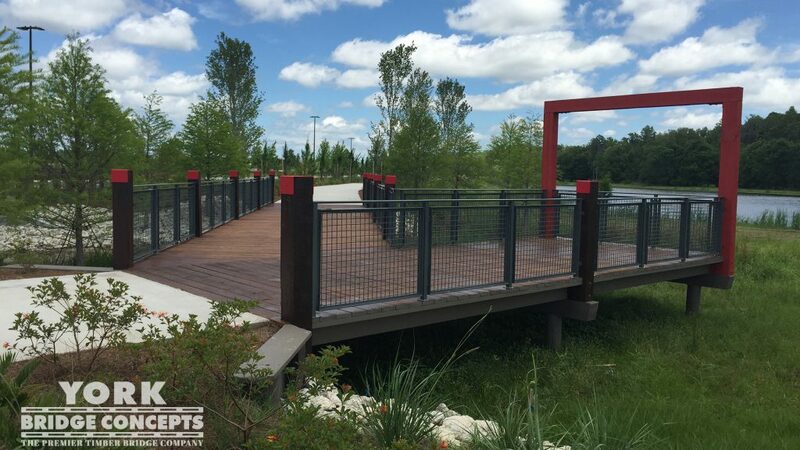 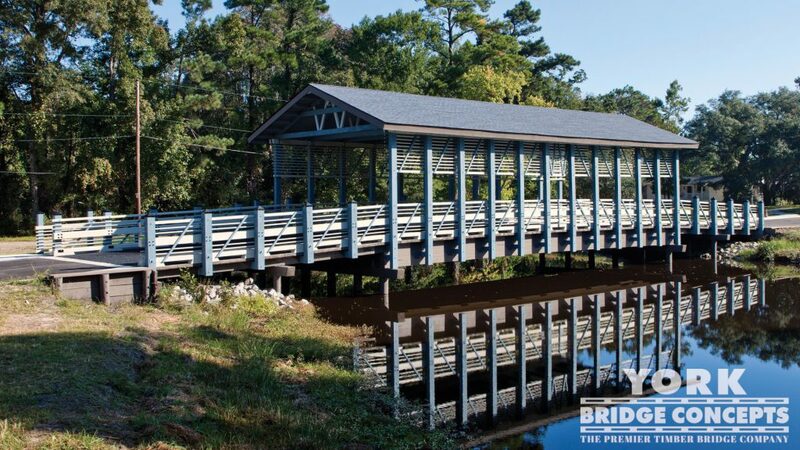 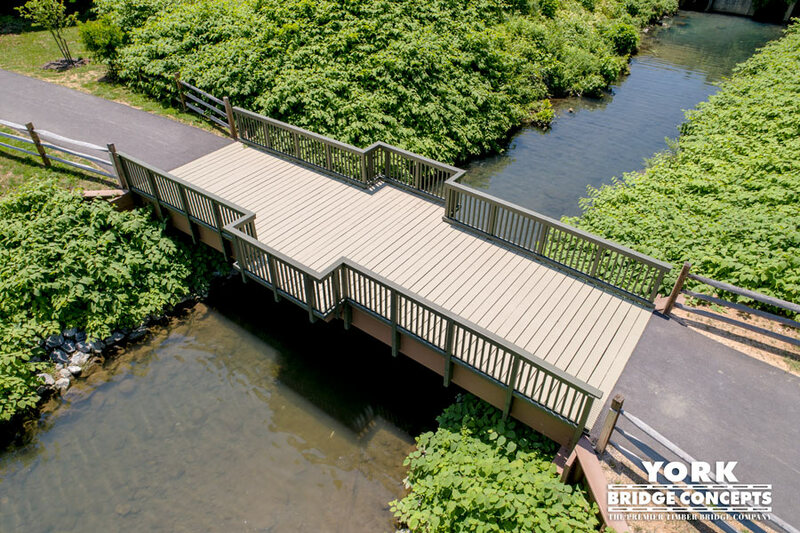 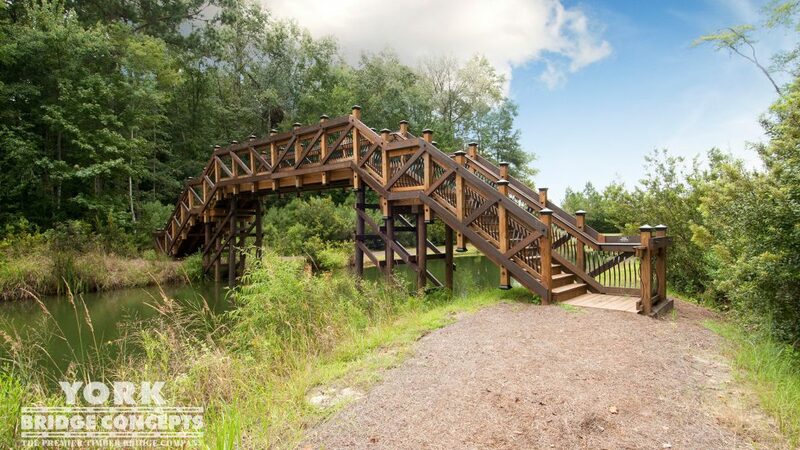 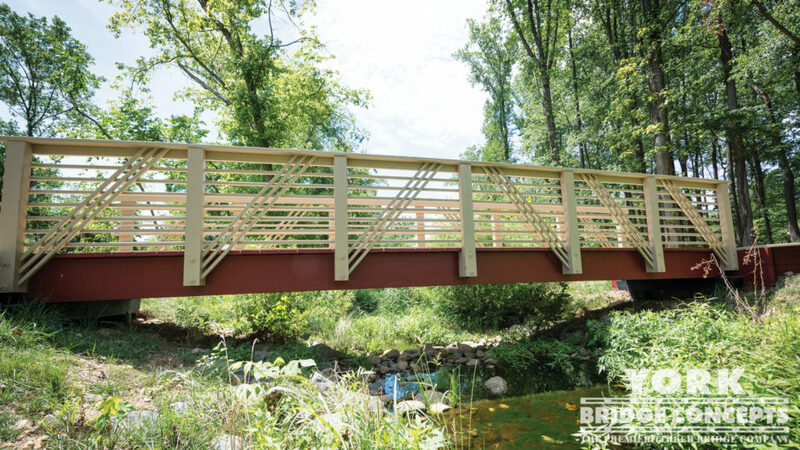 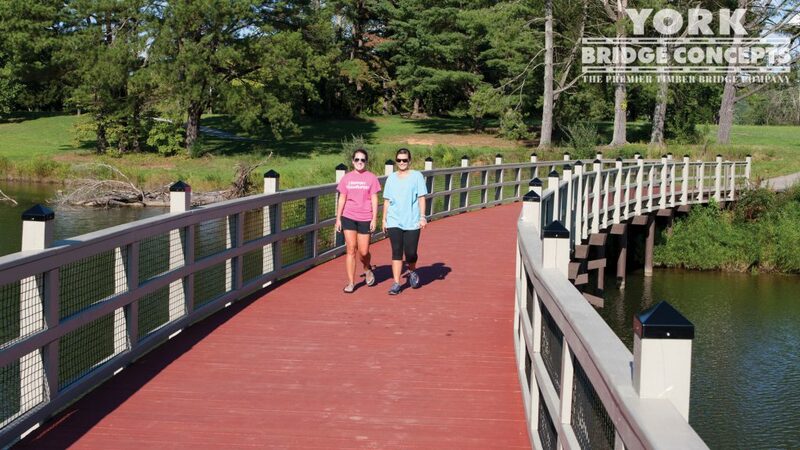 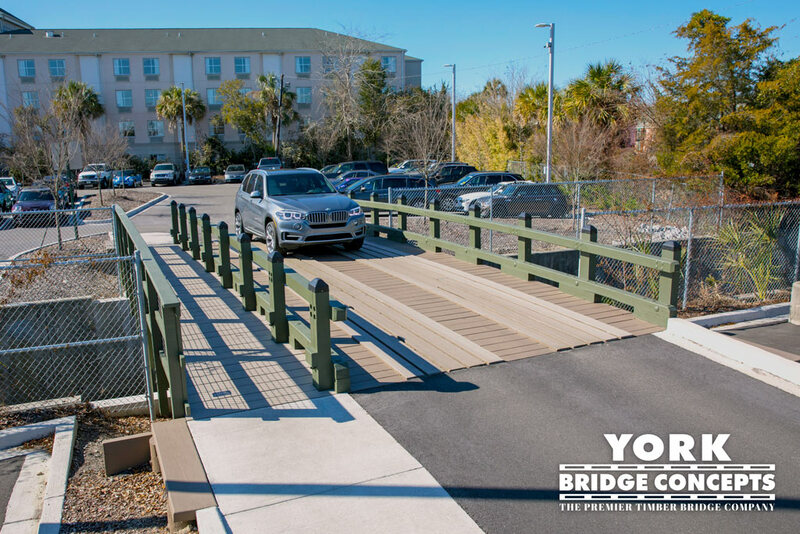 The Accessibility Bridge is a multiple span Timber Pedestrian Bridge with 85 pounds per square foot capacity that spans 104 feet long by 10 feet wide. 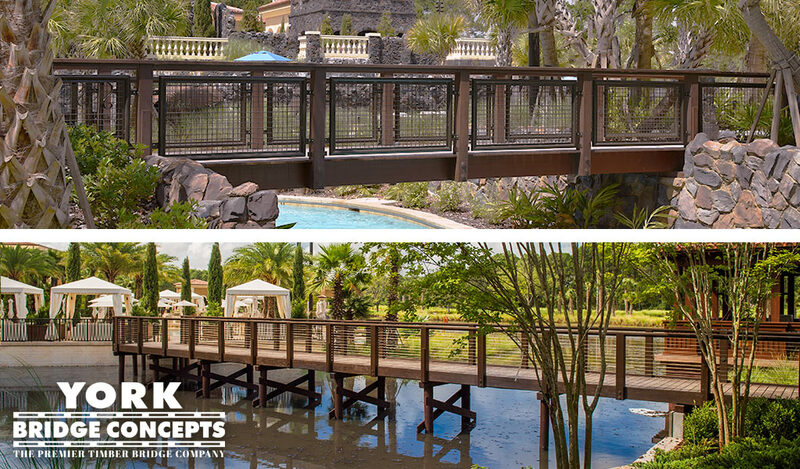 The structure is 100% ADA accessible, while maintaining a gentle curve throughout the JadeWaters pool area, gliding over the Lazy River. 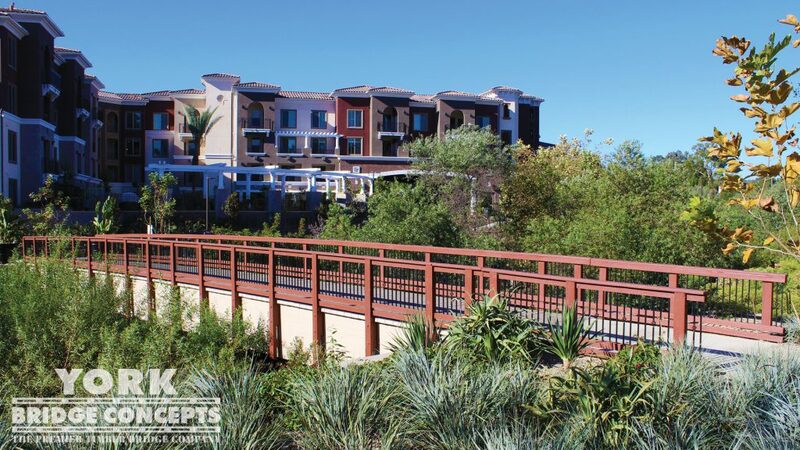 Utilizing its Decero™ Design philosophy, the structure features a stunning color palette of lush reds and greens that adhere to the unique theme of the hotel. 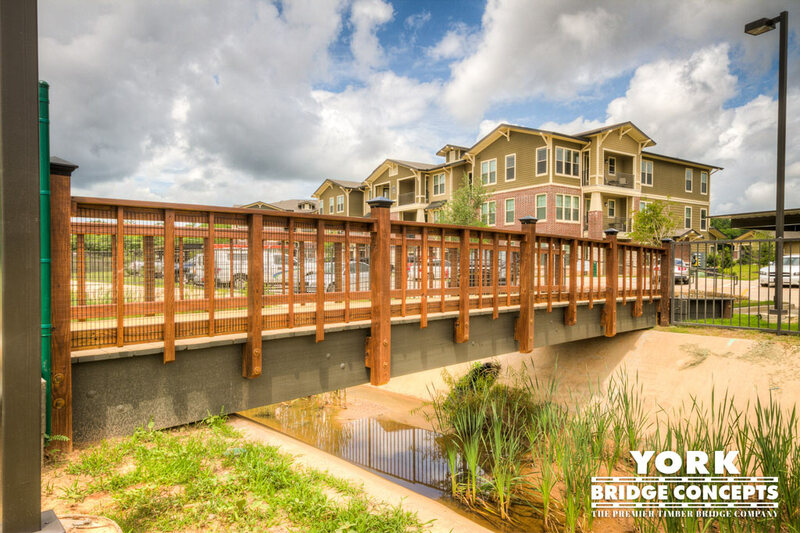 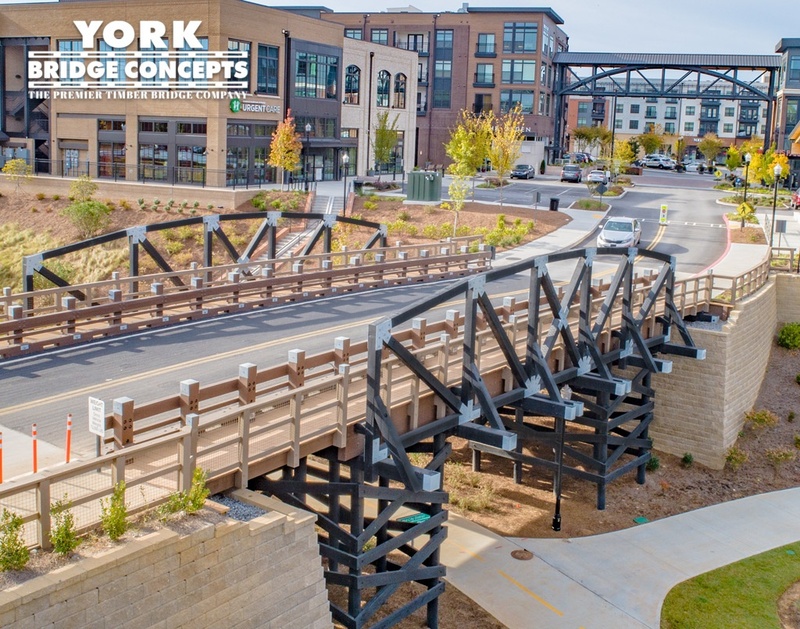 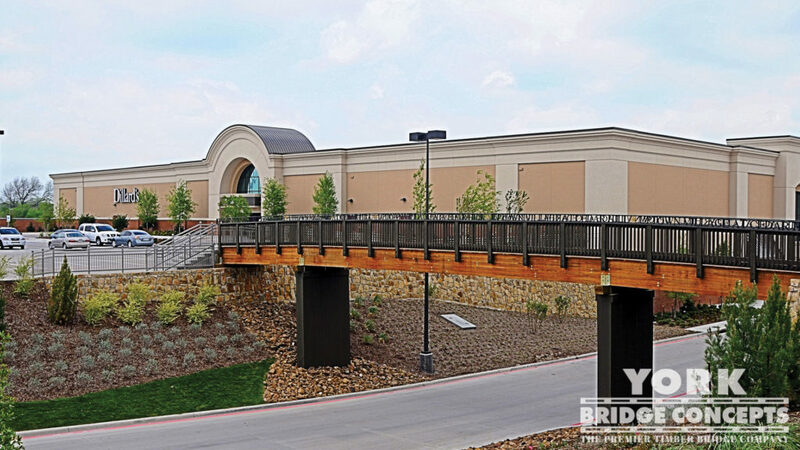 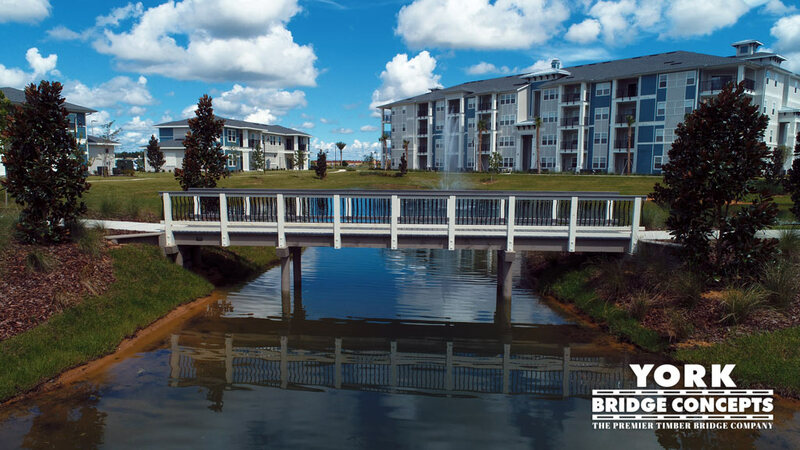 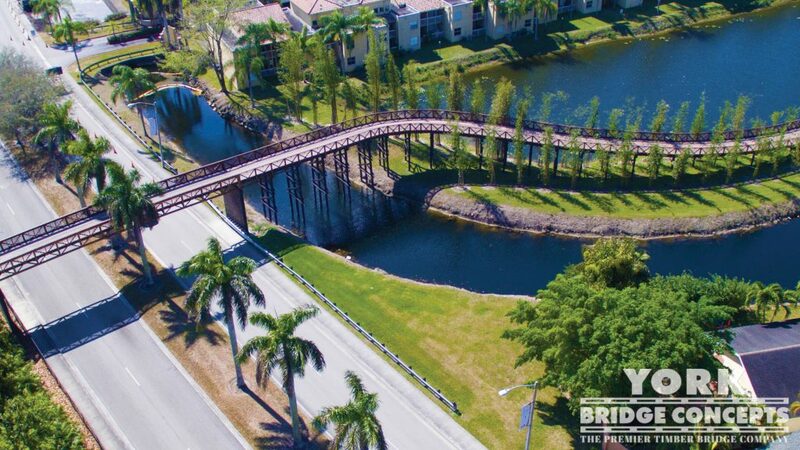 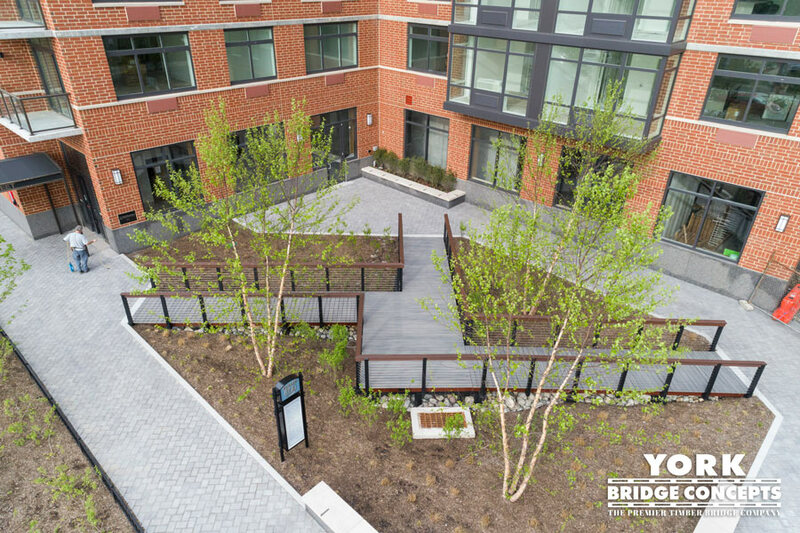 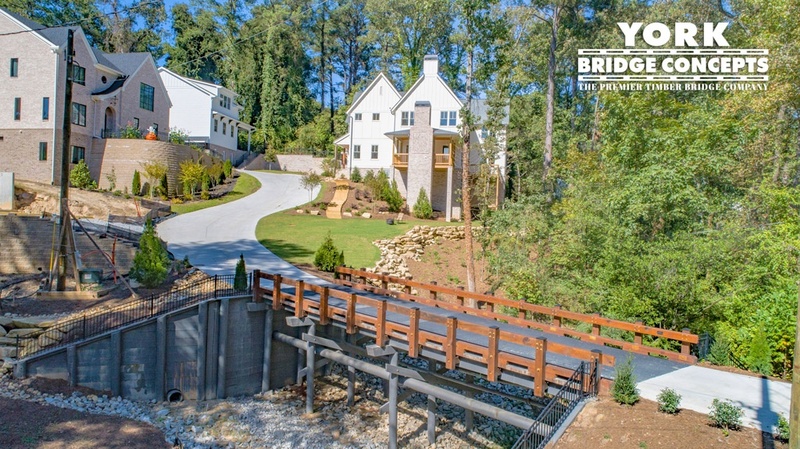 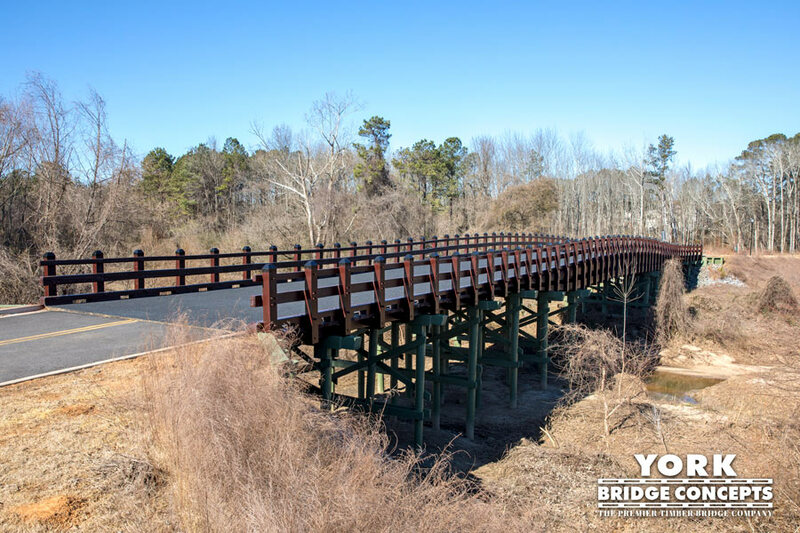 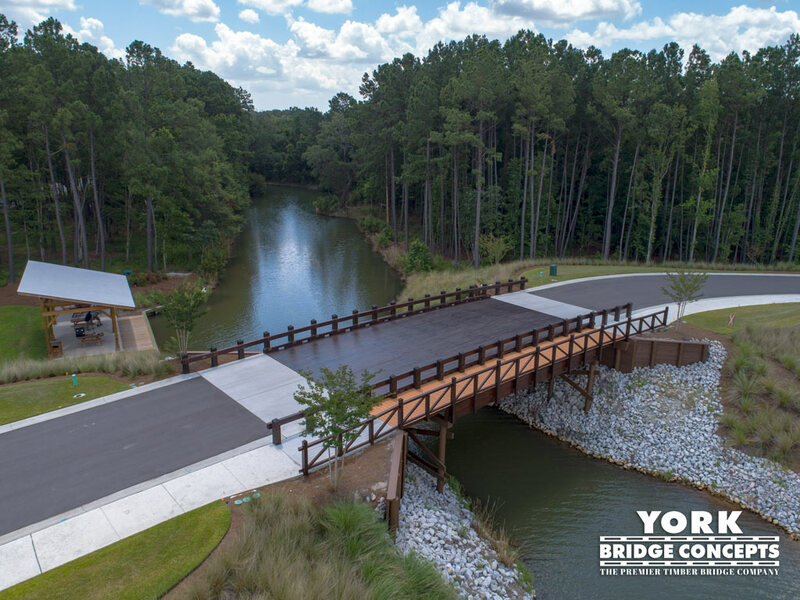 Combining impeccable design, aesthetics and longevity – York Bridge has brought this Asian-inspired concept to reality. 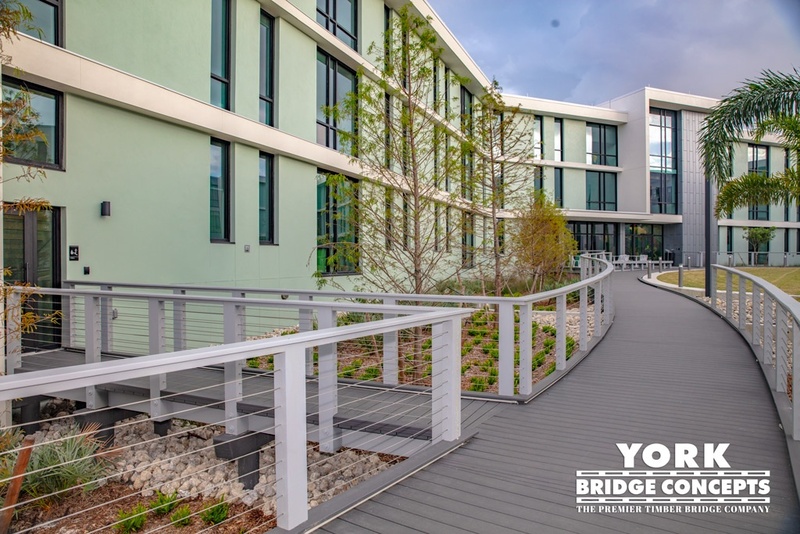 Structure and art collide in this masterpiece of design – Hilton Anatole’s newest gems – recently completed by York Bridge Concepts™. 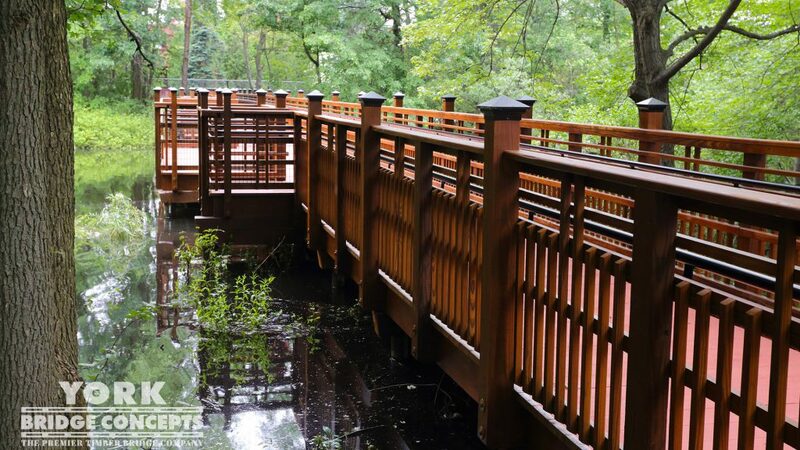 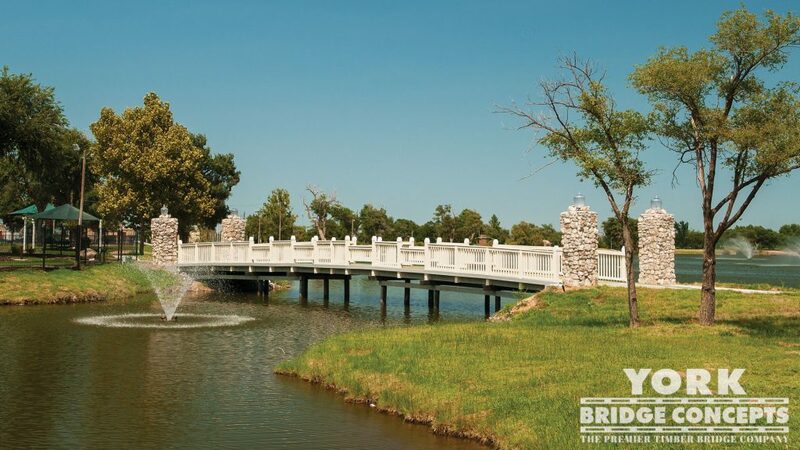 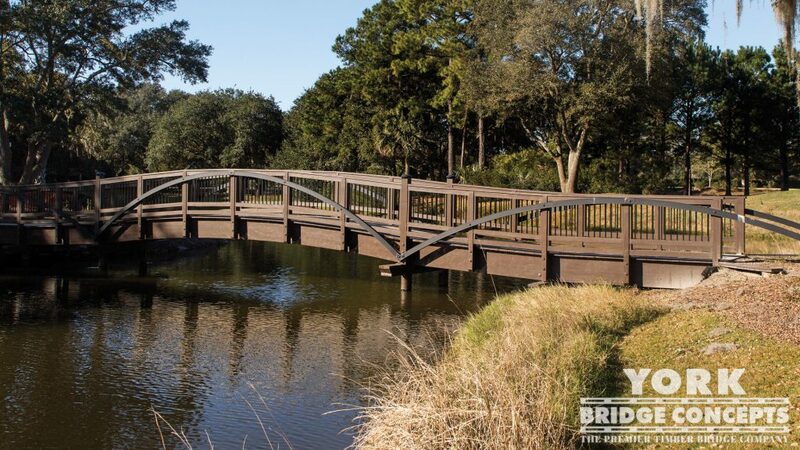 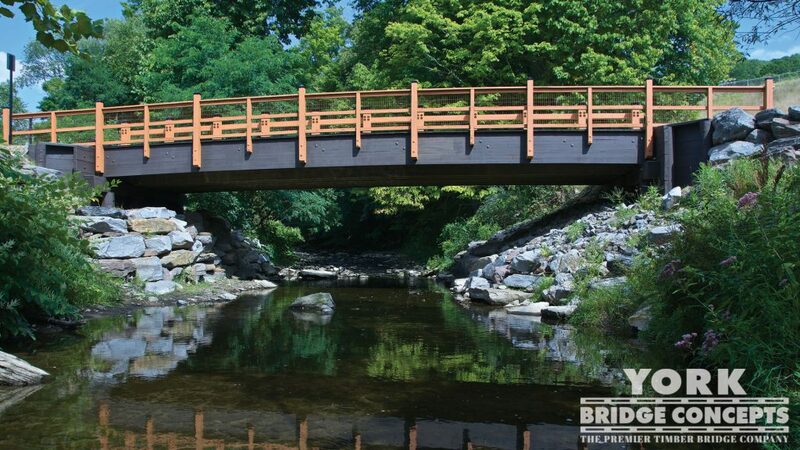 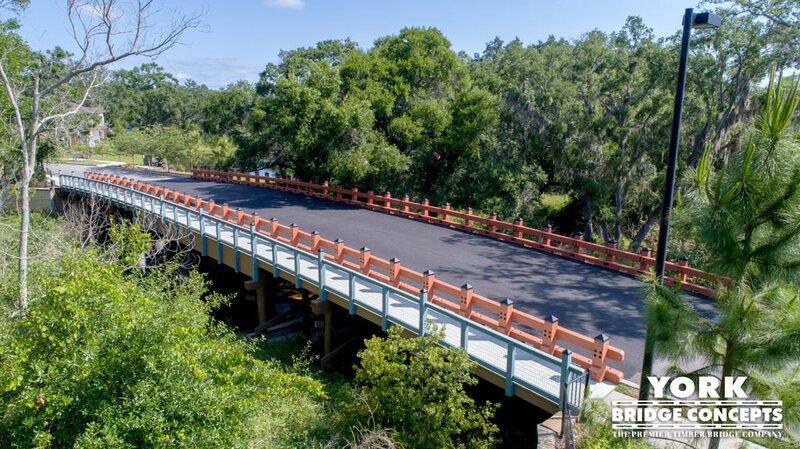 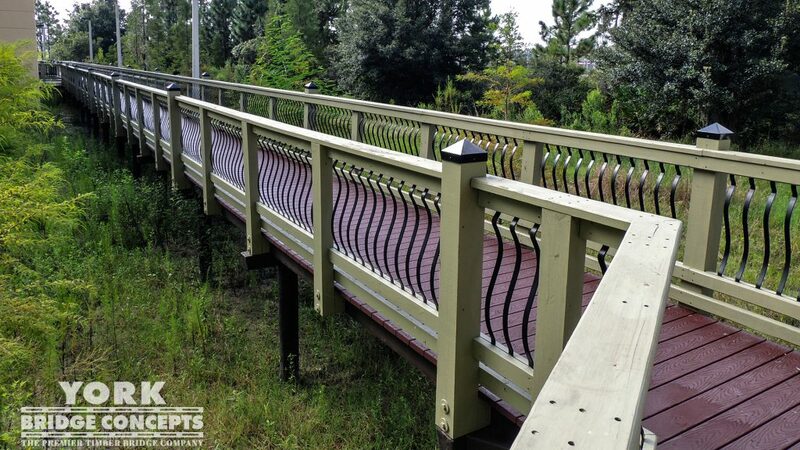 The first of its kind, YBC’s ornamental Moon Bridge was influenced by an historic bridge design originating in China. 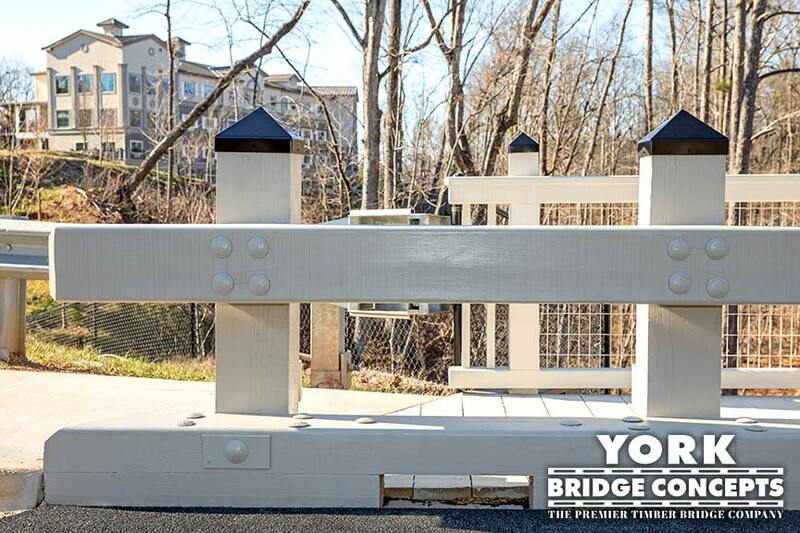 A statement piece, this creation is not intended for pedestrian or vehicle traffic. 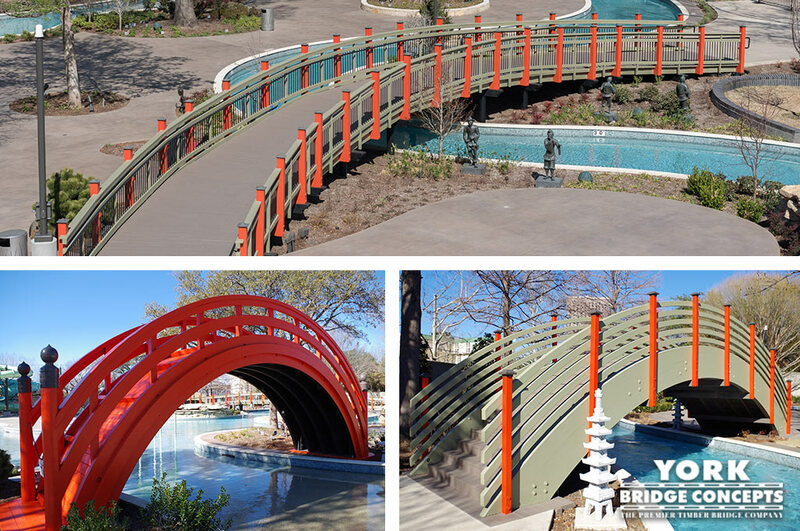 The Moon Bridge spans 6 feet wide by 30 feet long, spanning across the Lazy River located inside the JadeWaters at the Hilton Anatole hotel. 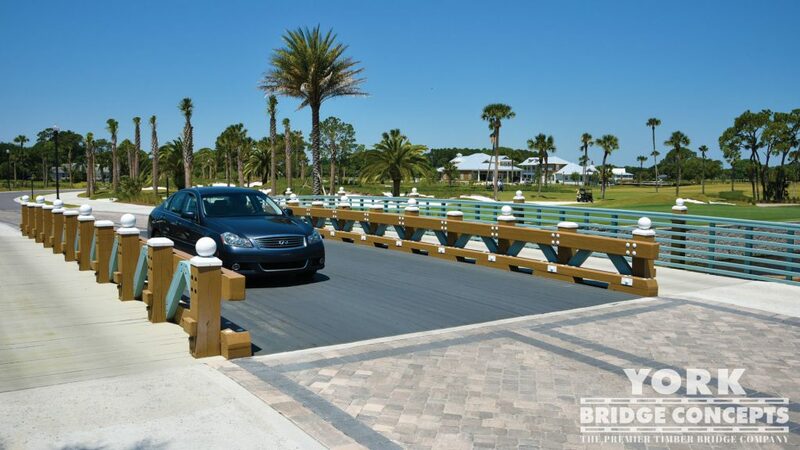 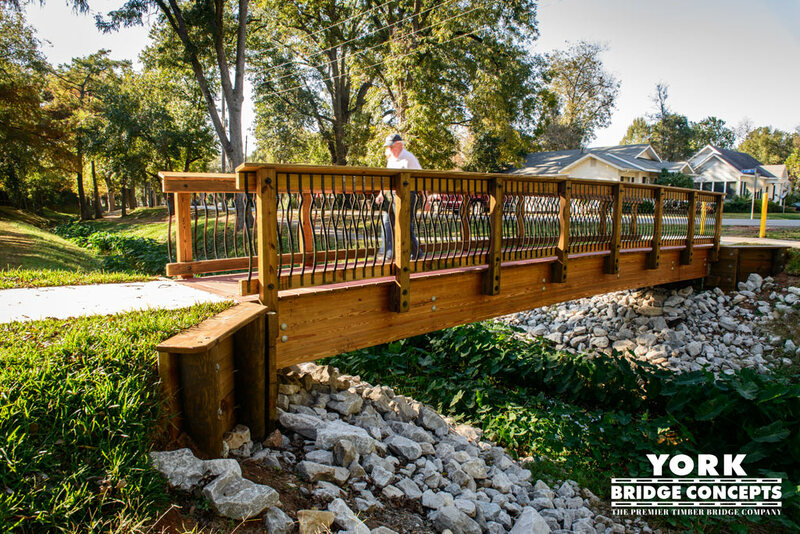 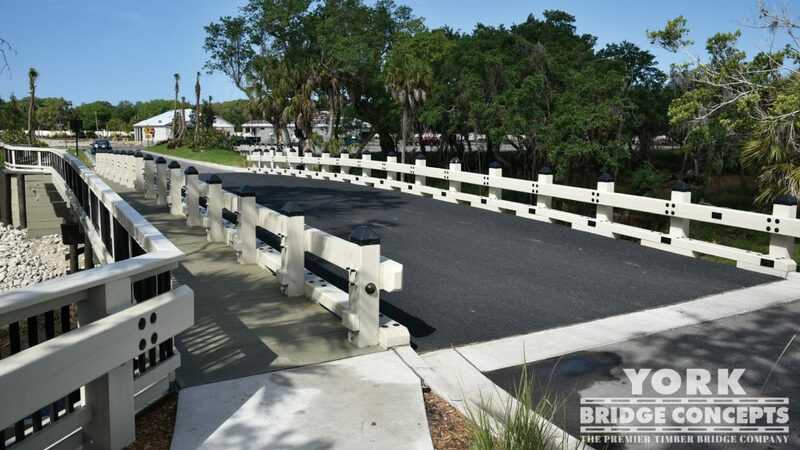 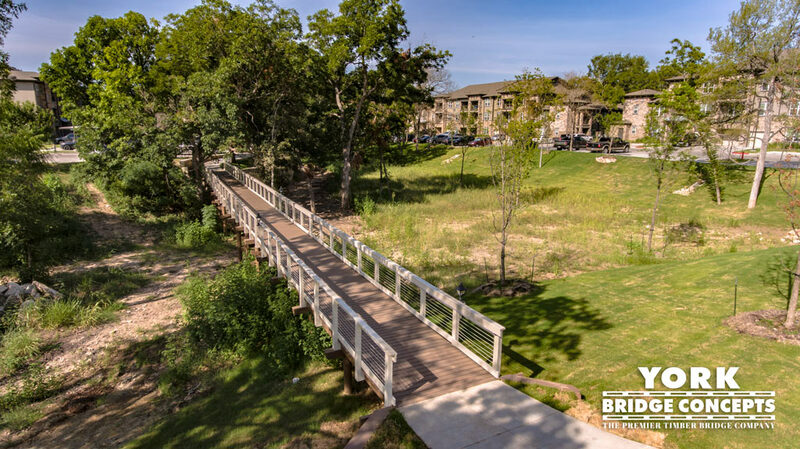 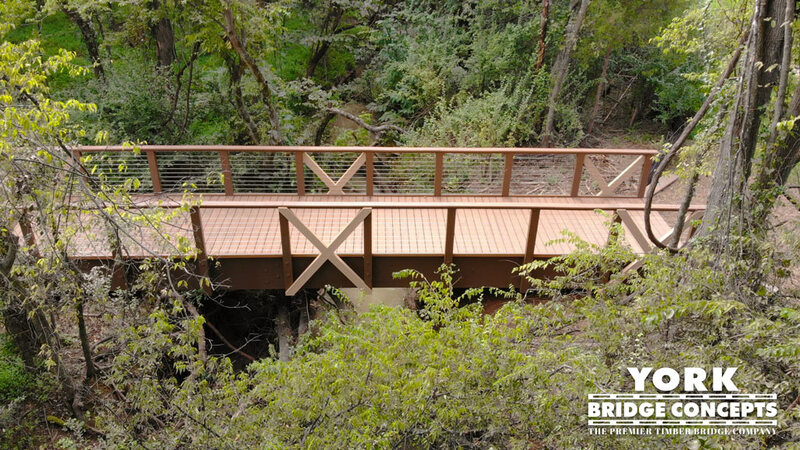 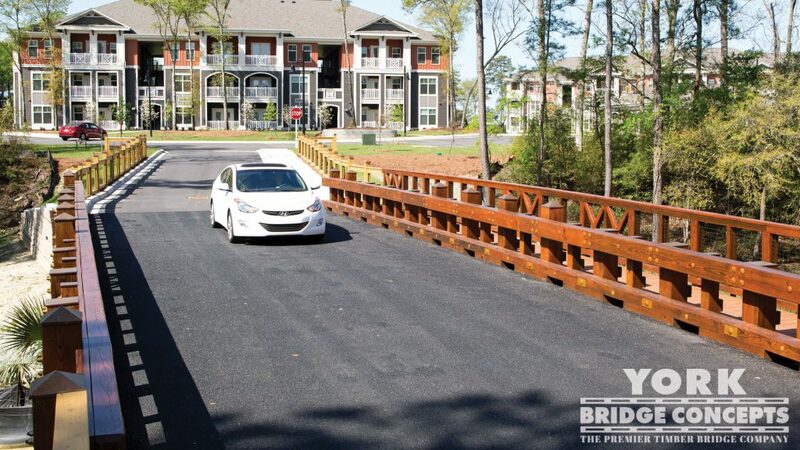 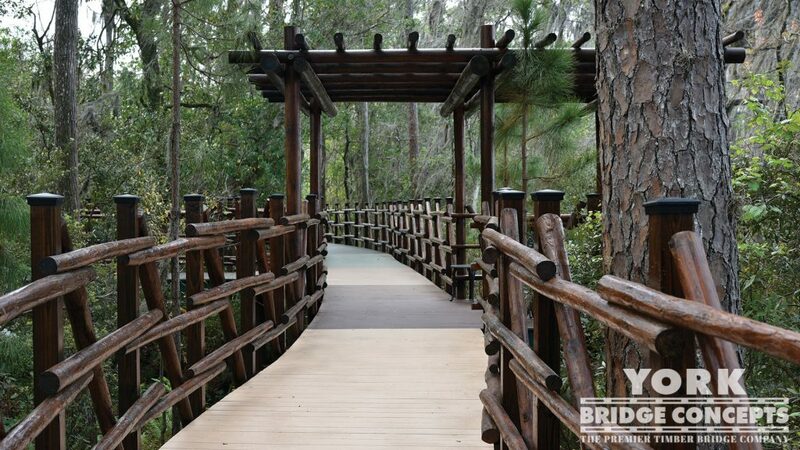 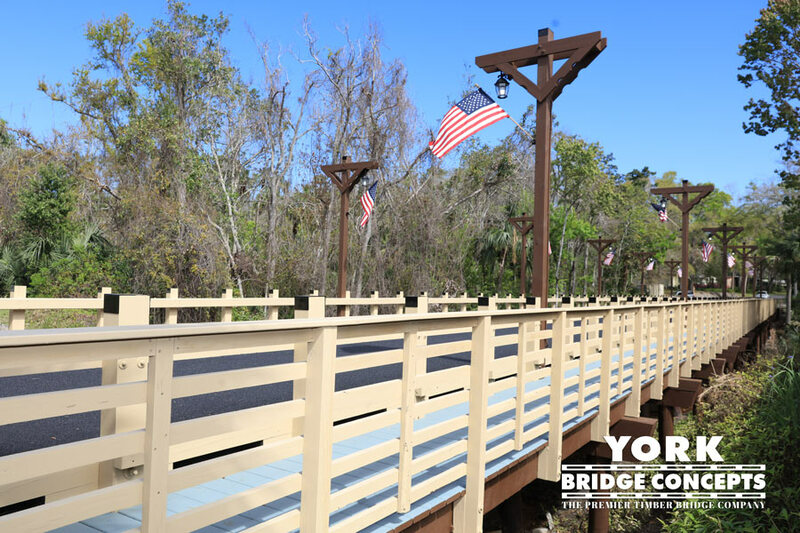 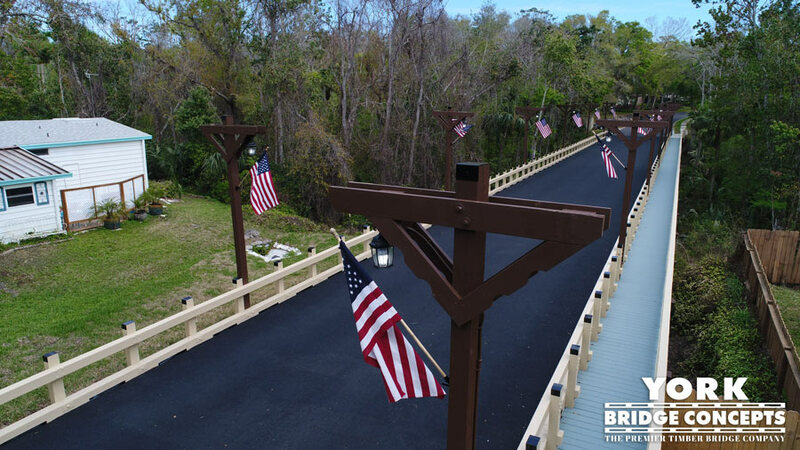 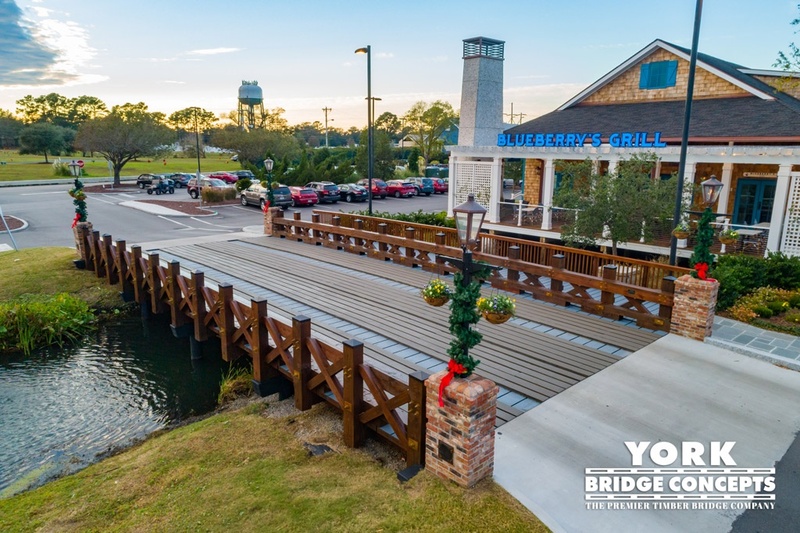 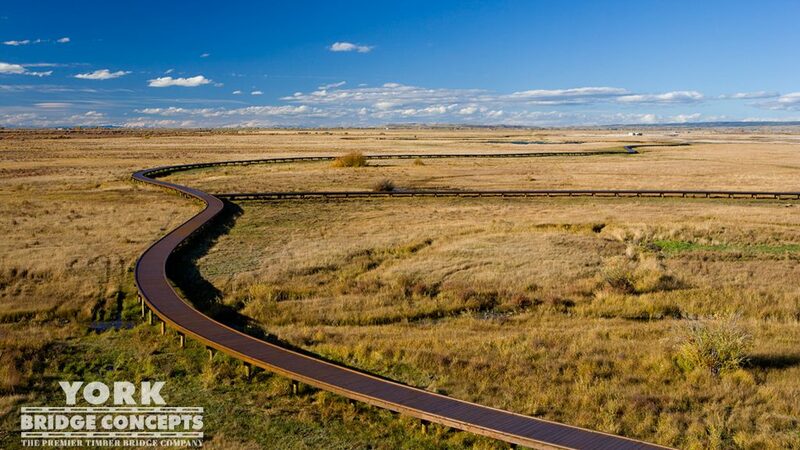 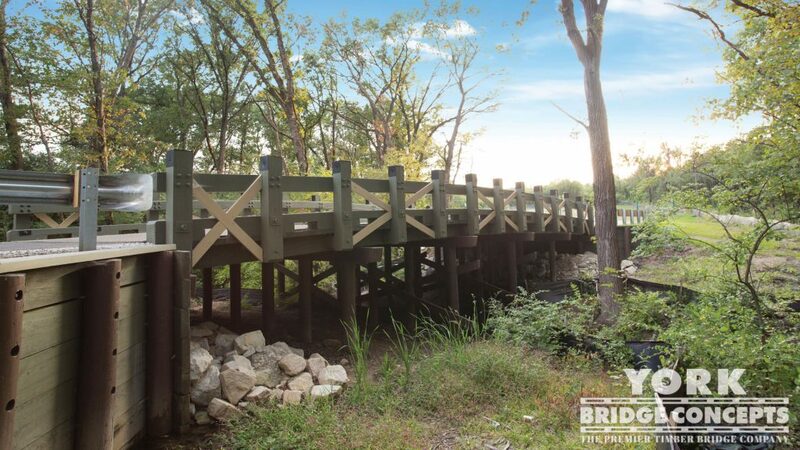 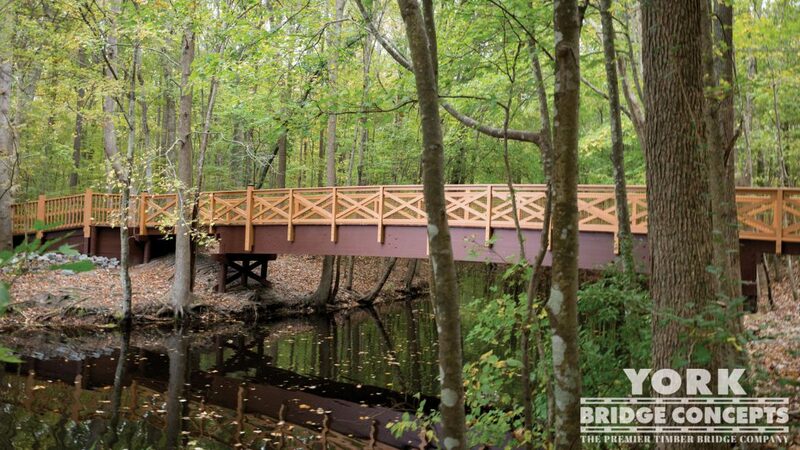 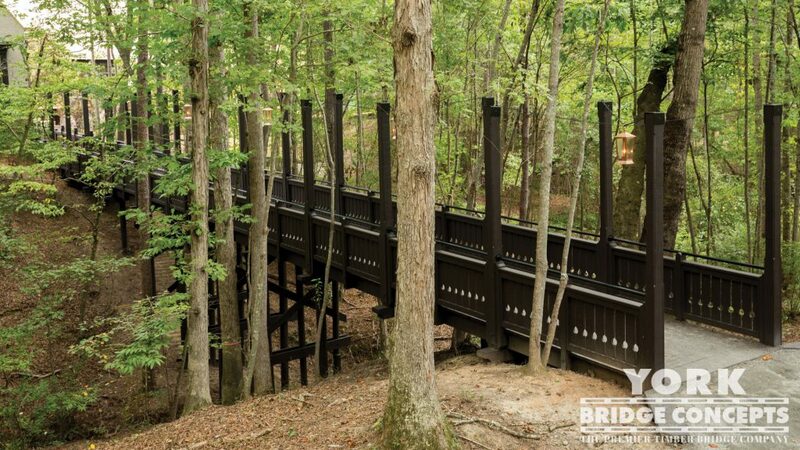 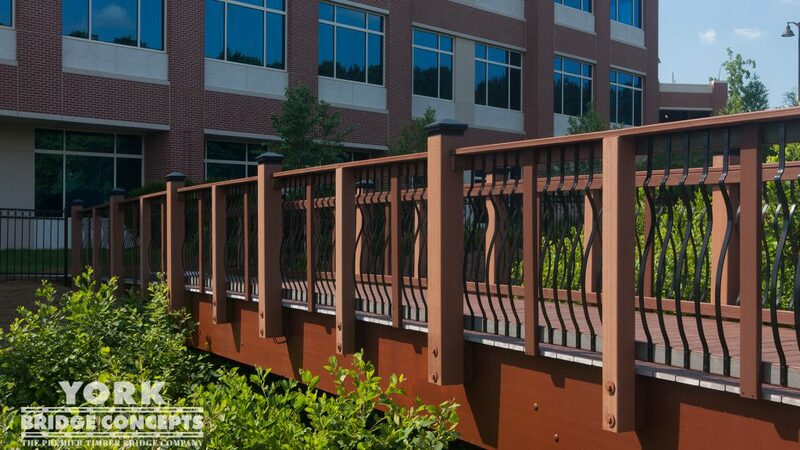 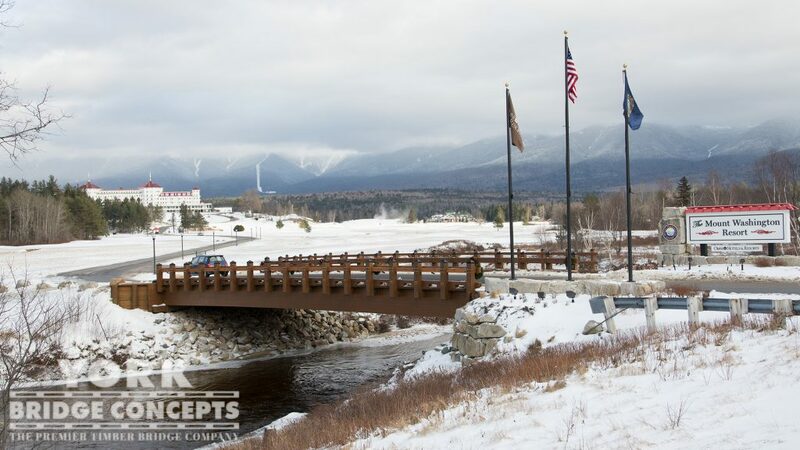 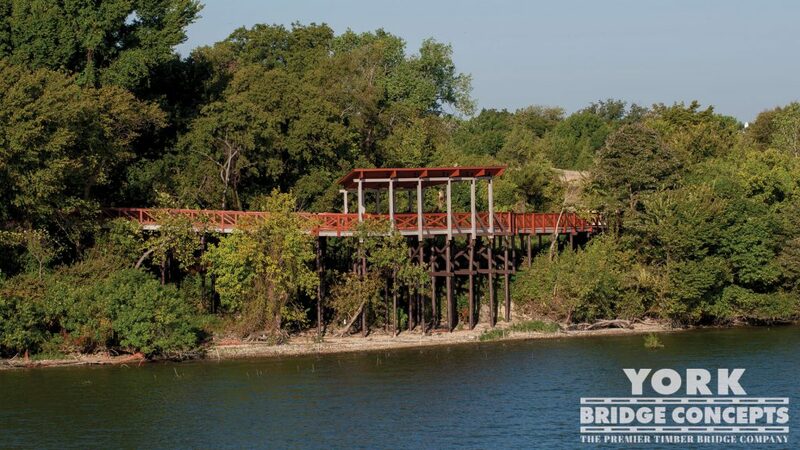 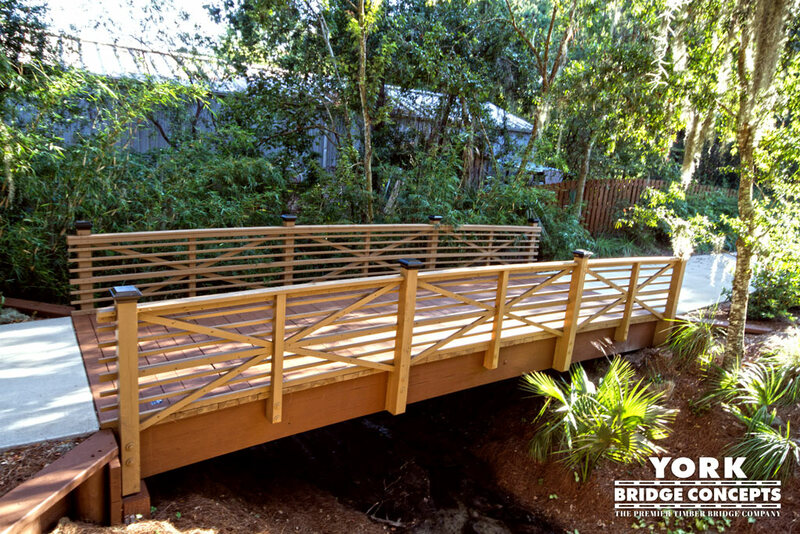 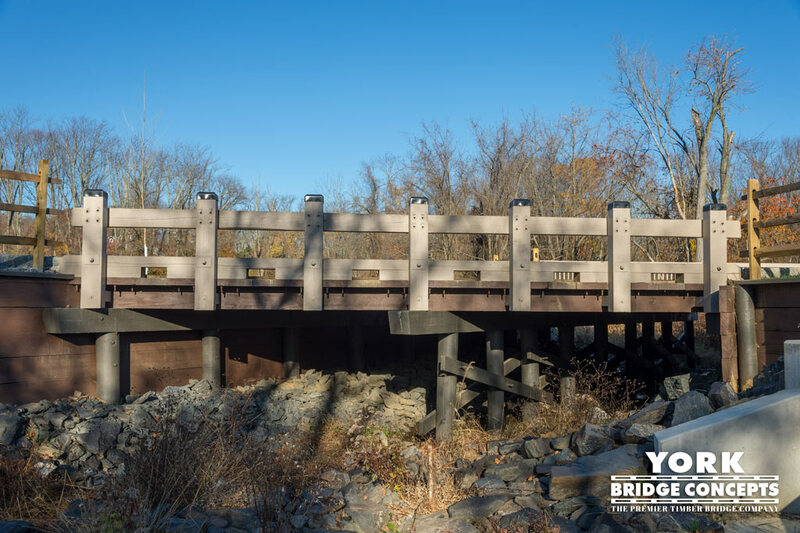 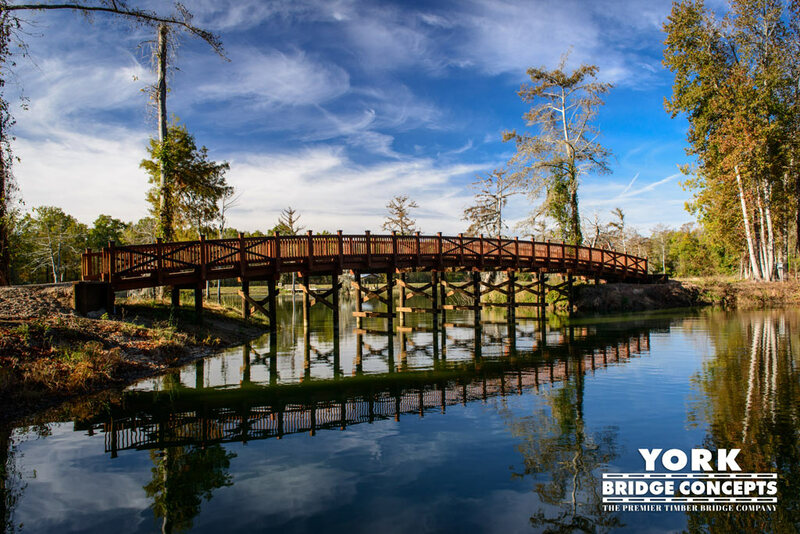 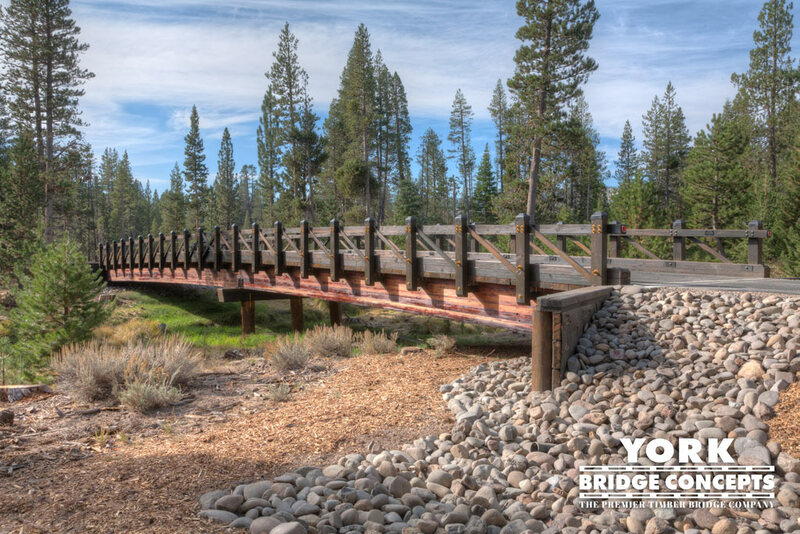 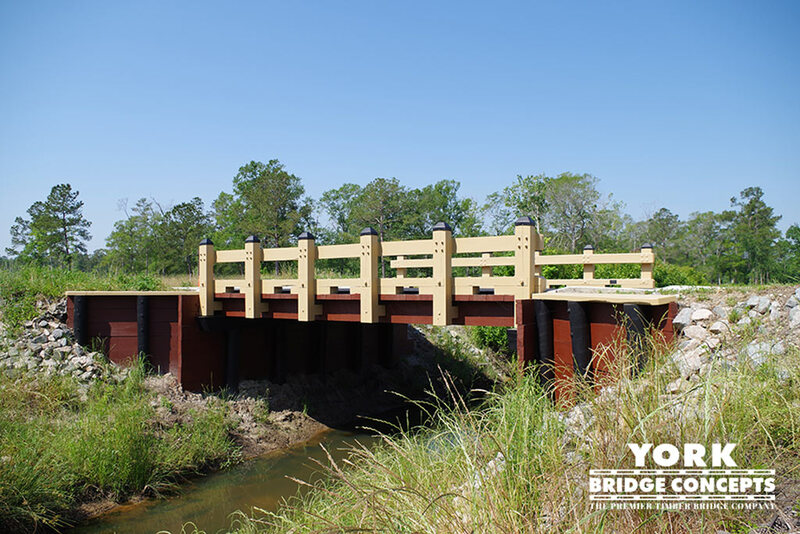 YBC is honored to leave behind these legacy bridges that will be enjoyed by countless visitors to the hotel. 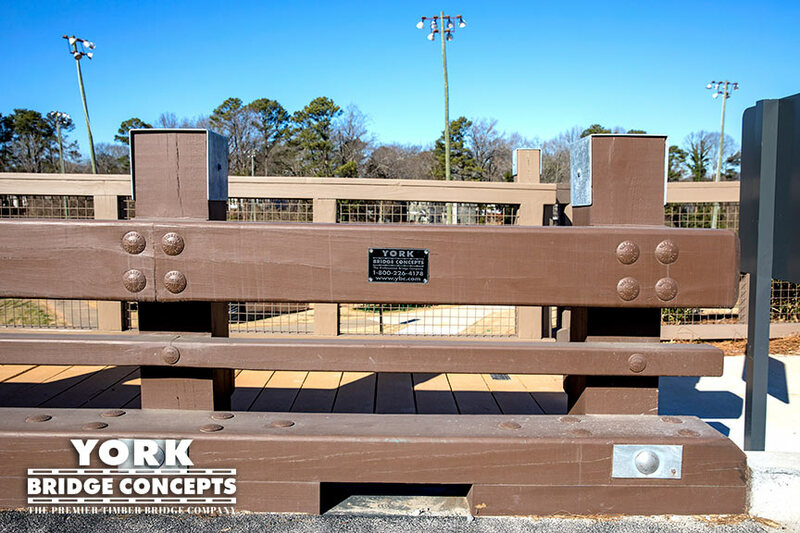 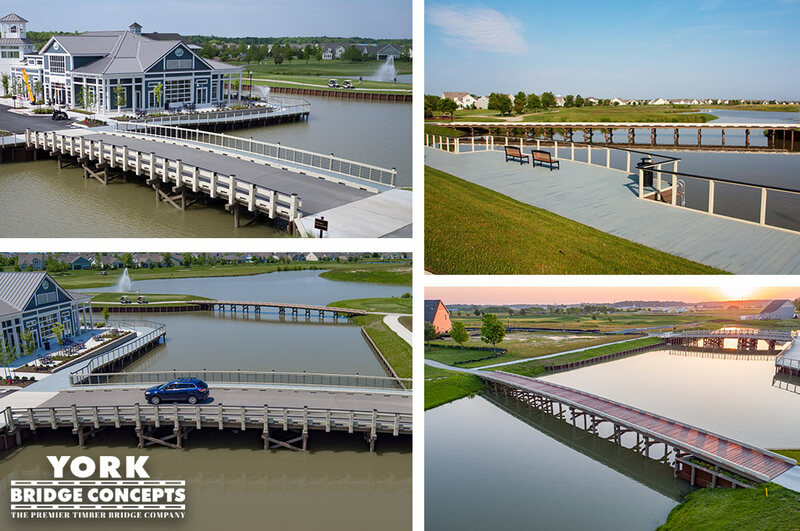 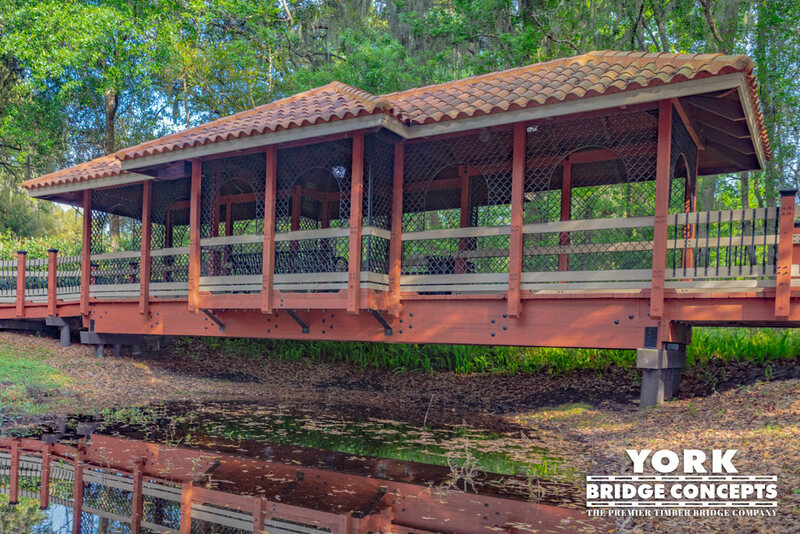 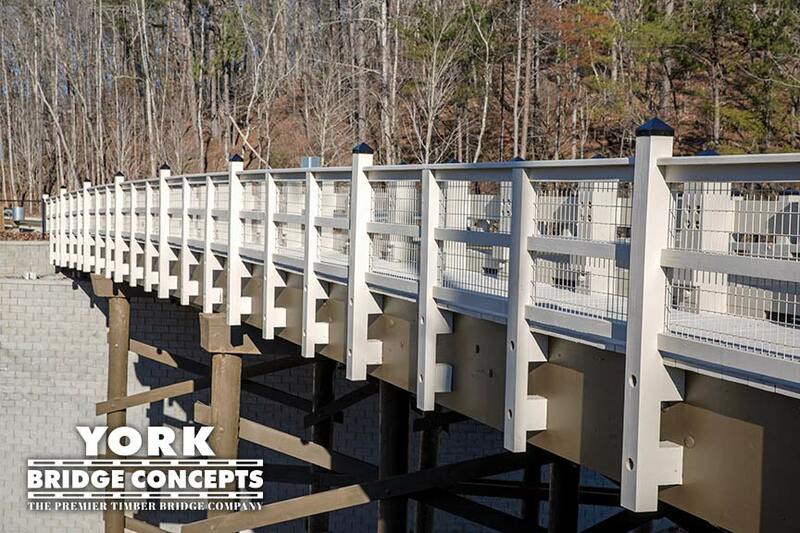 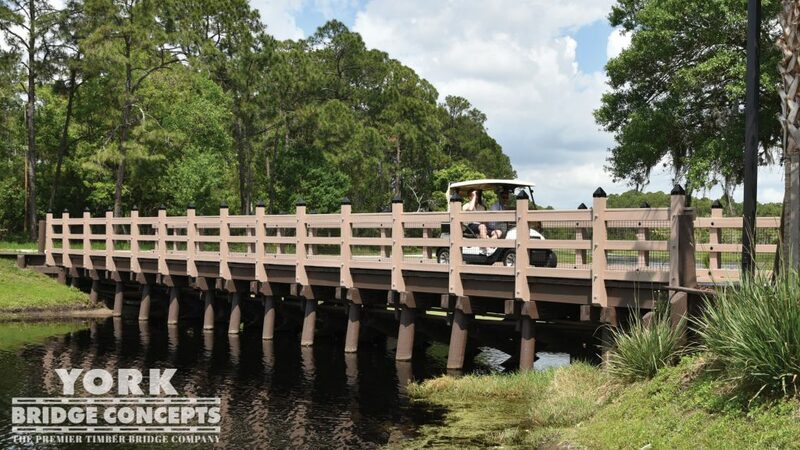 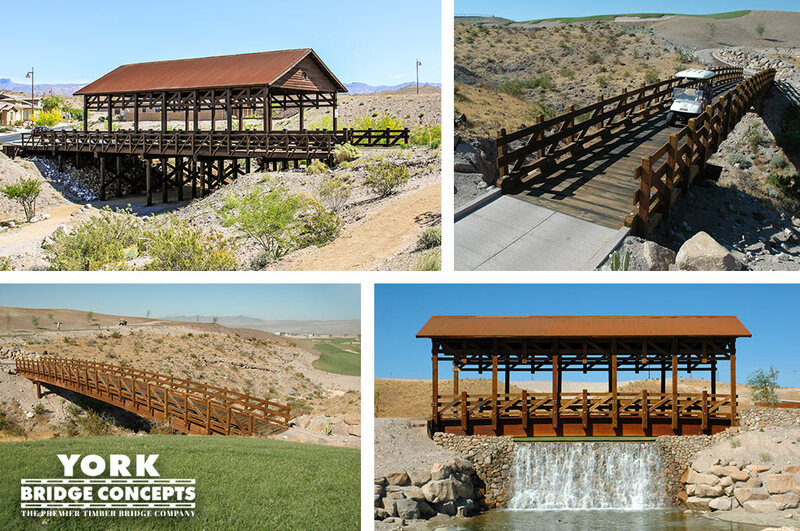 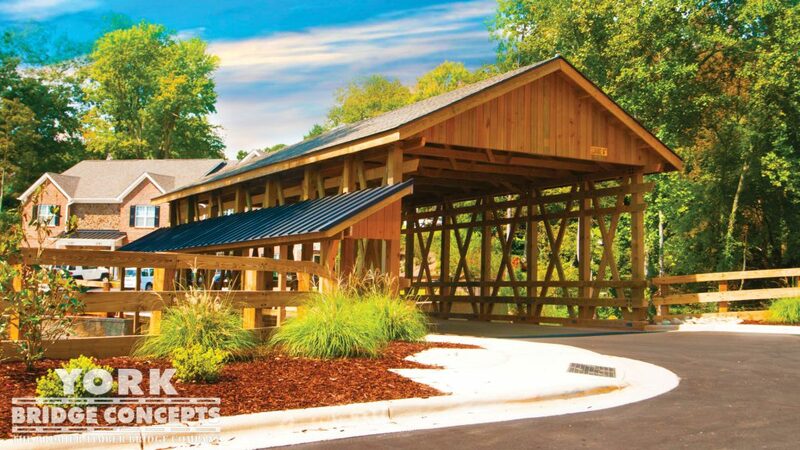 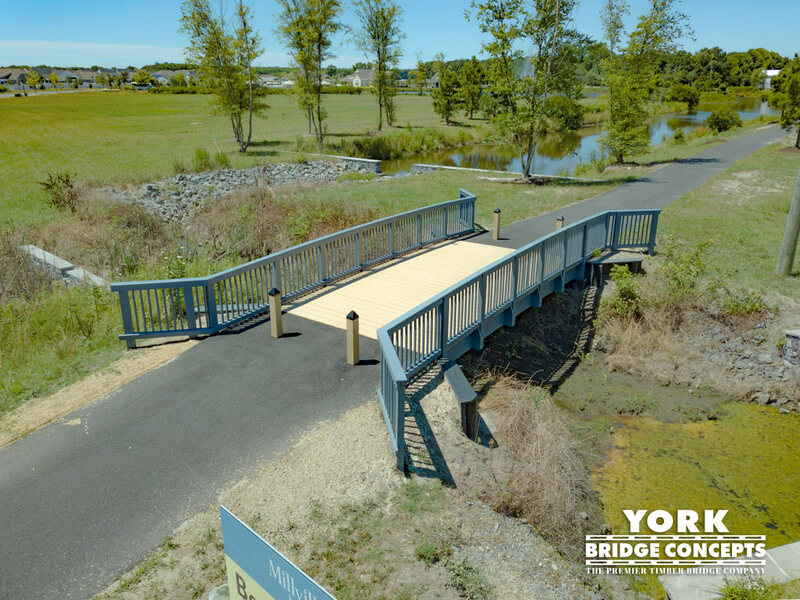 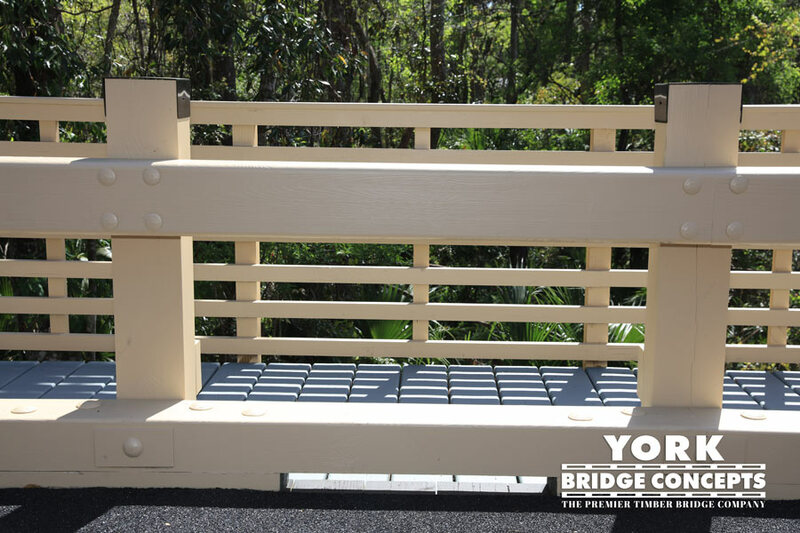 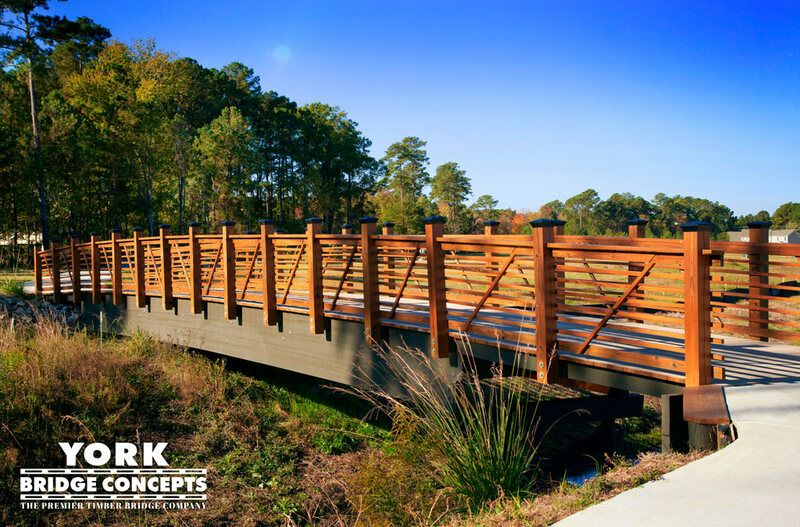 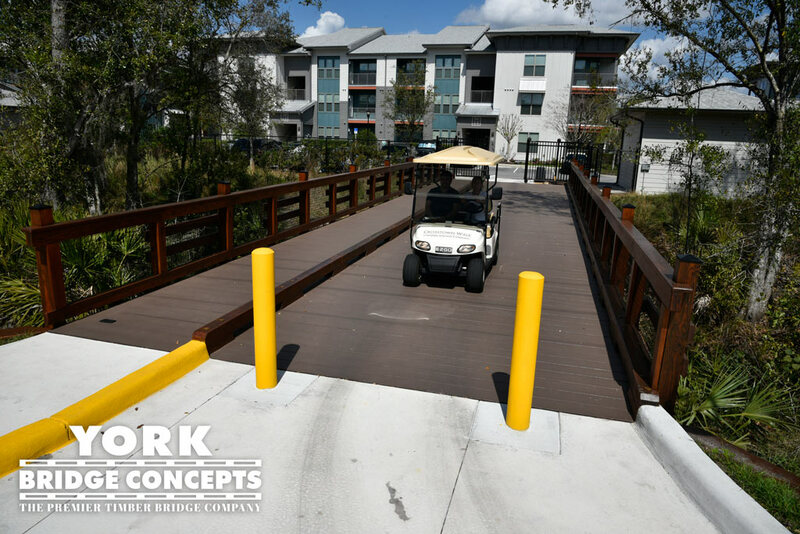 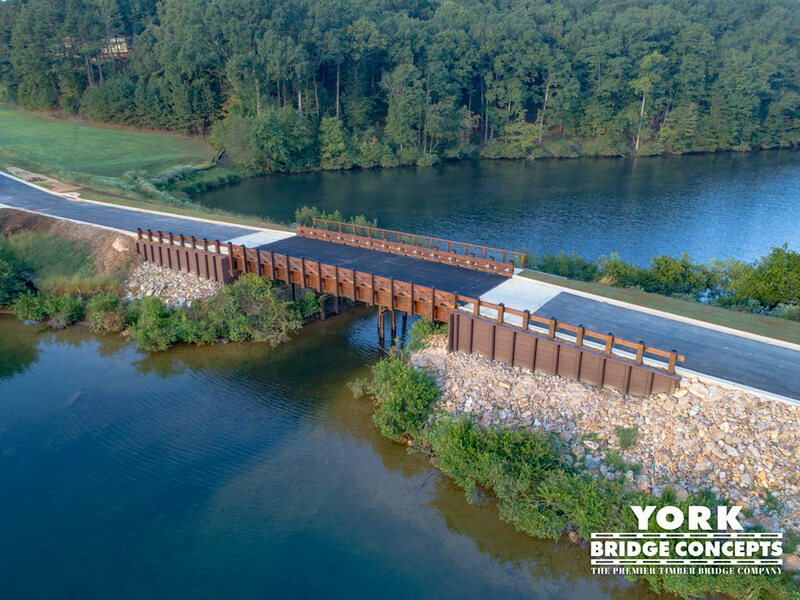 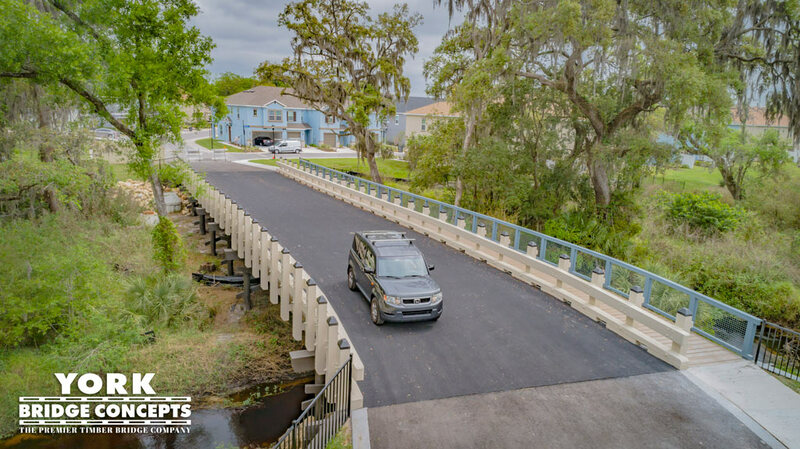 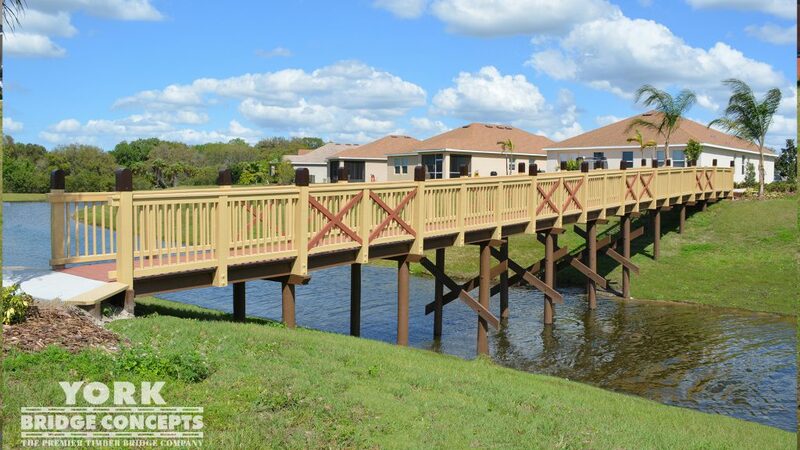 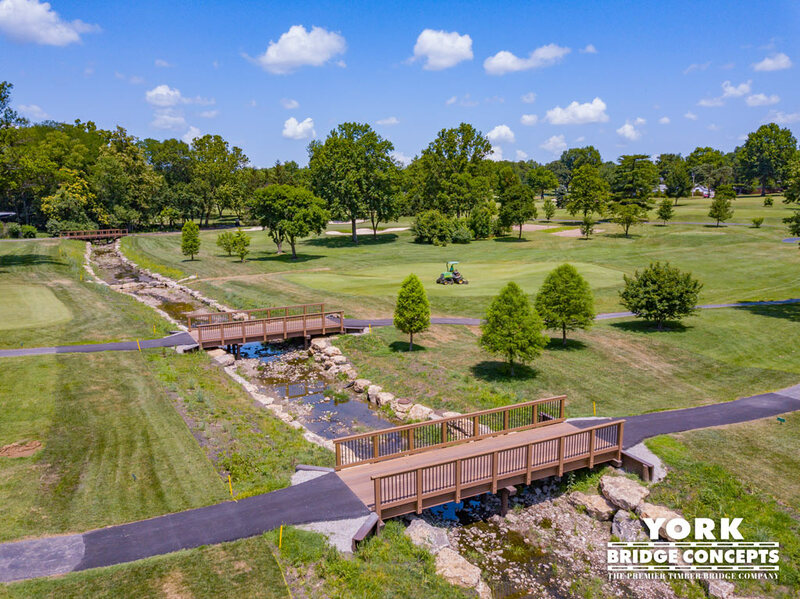 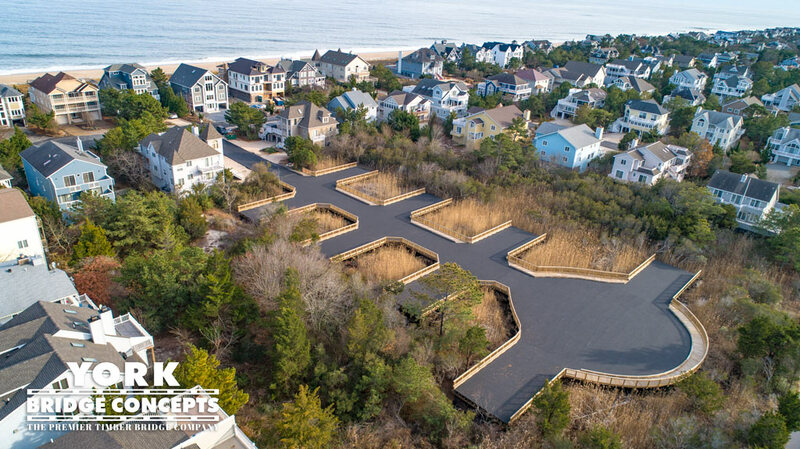 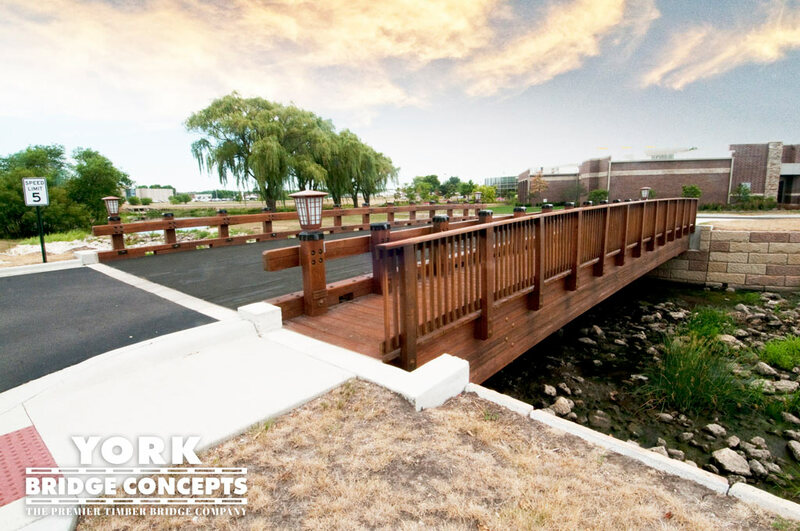 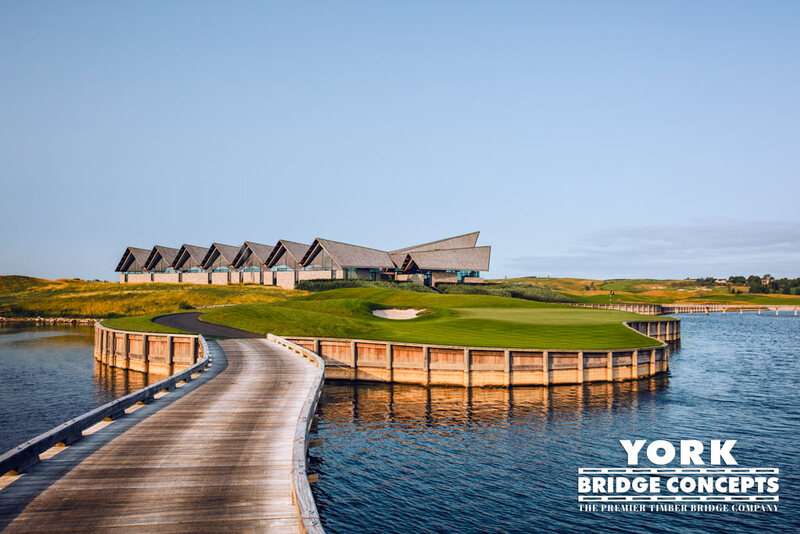 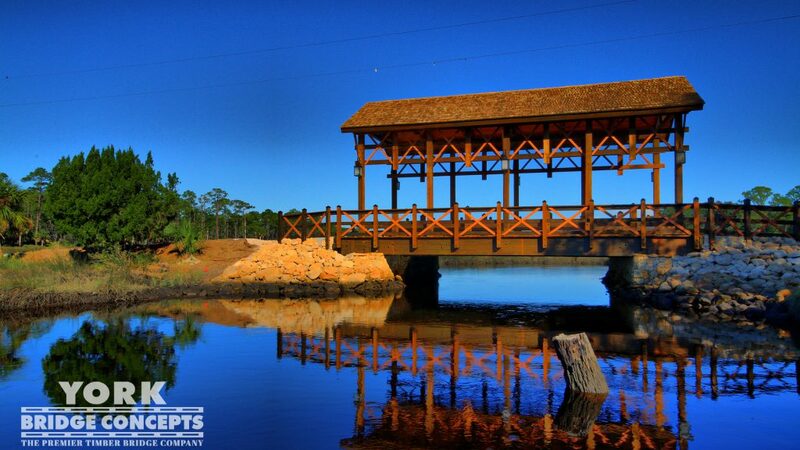 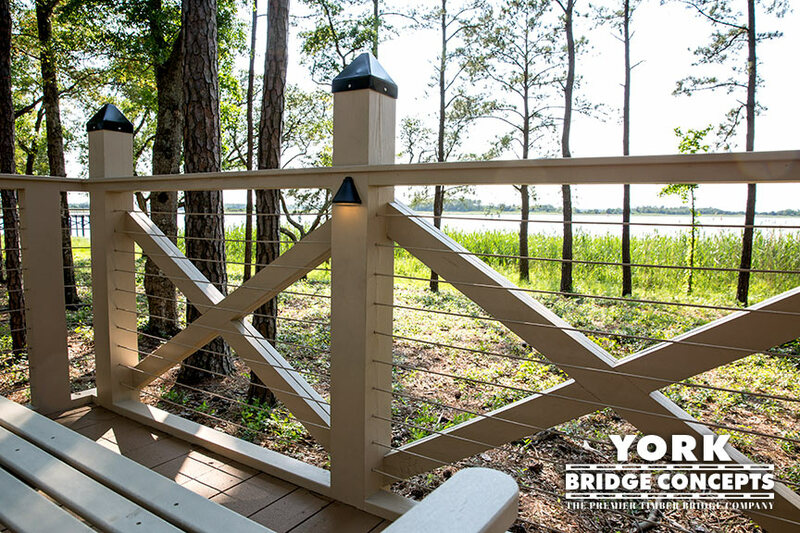 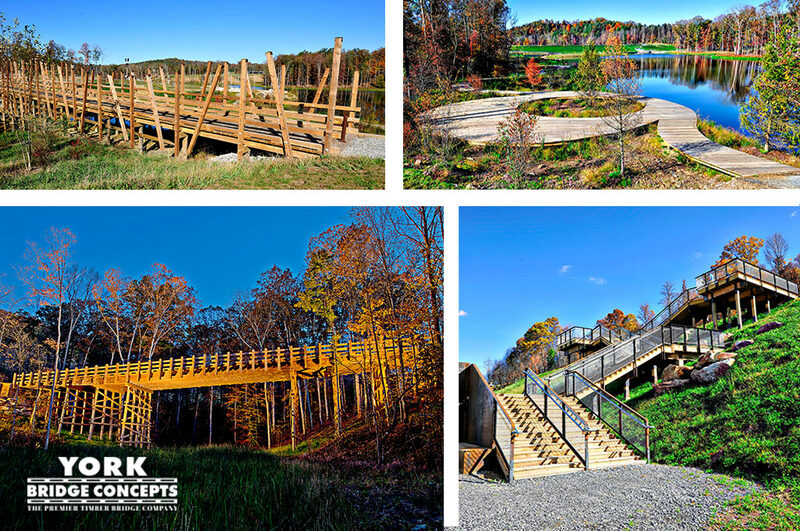 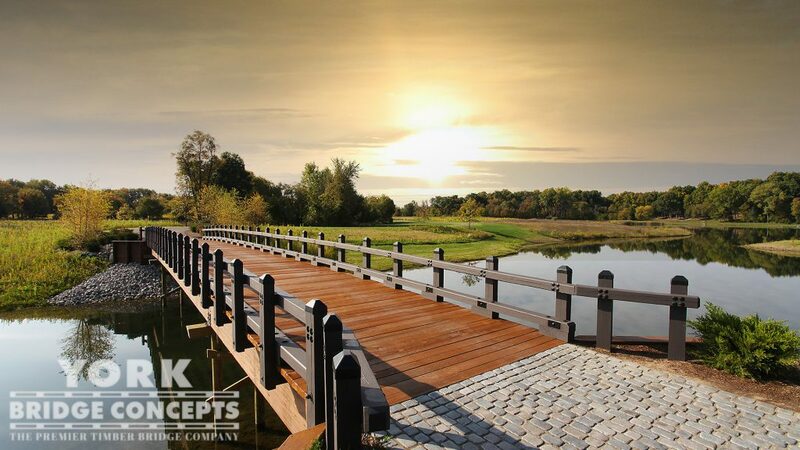 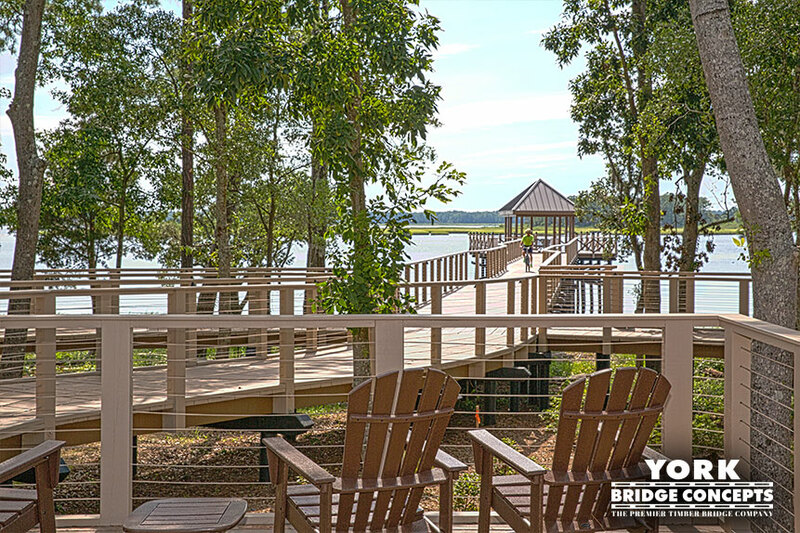 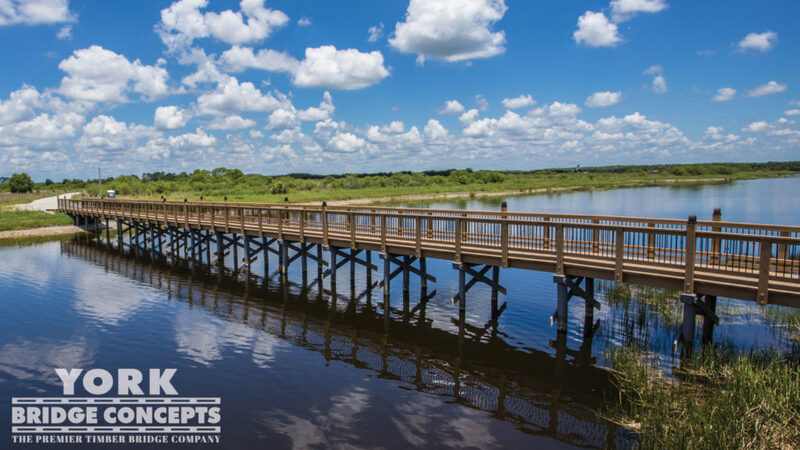 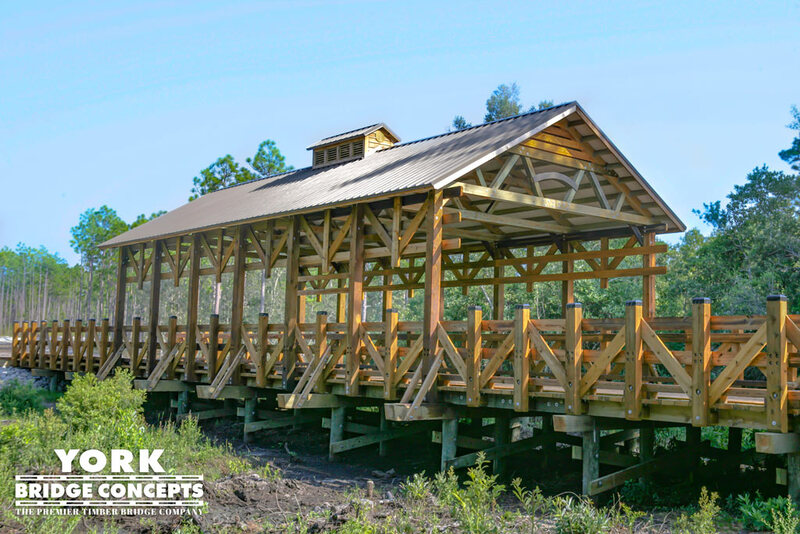 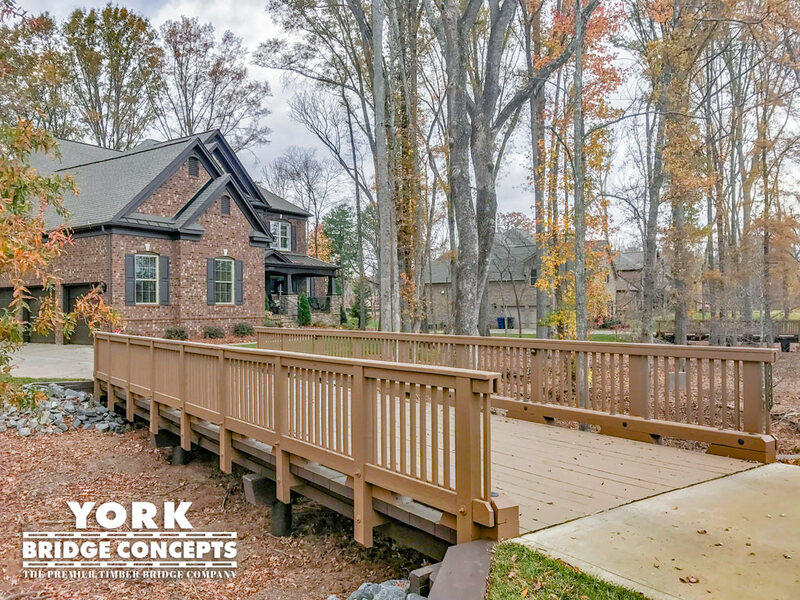 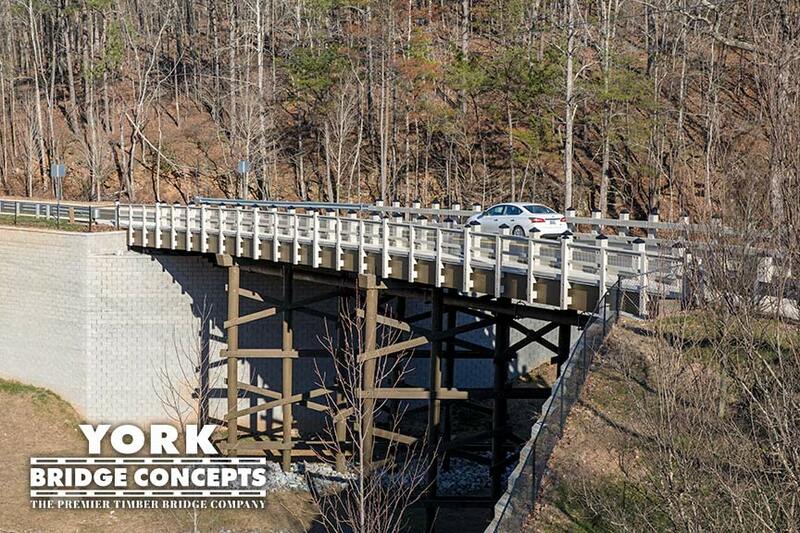 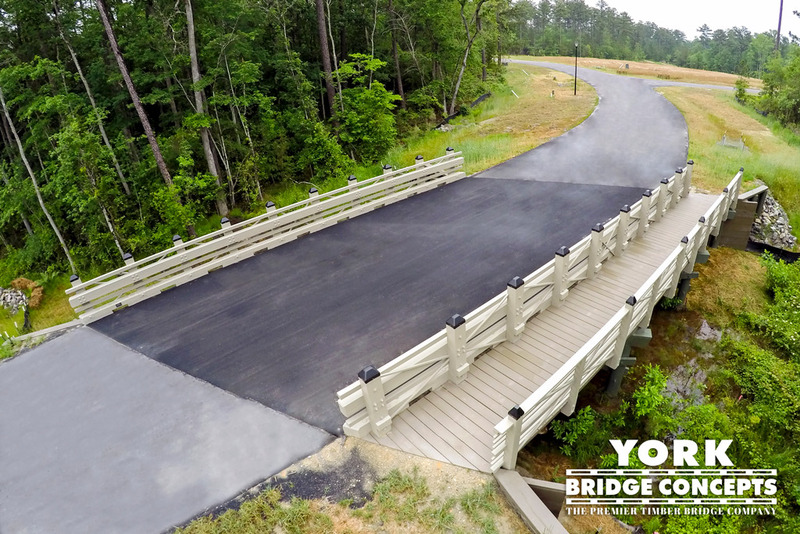 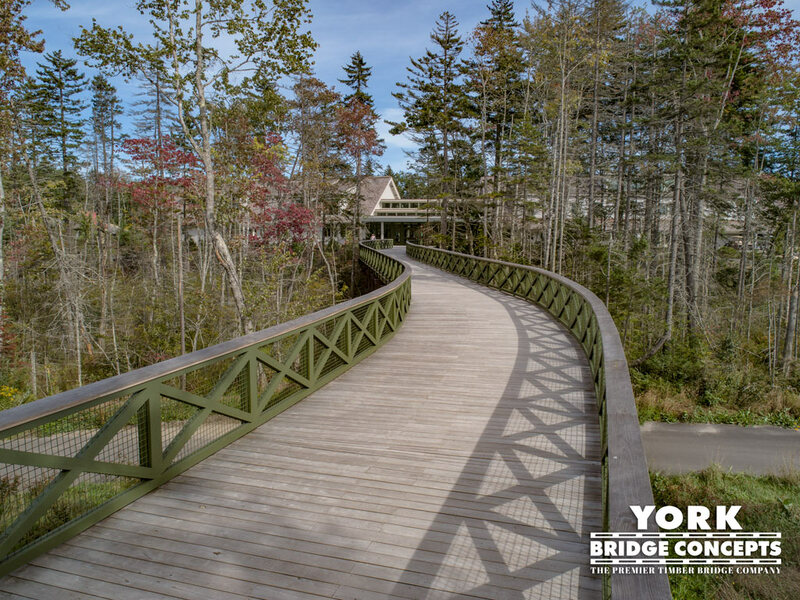 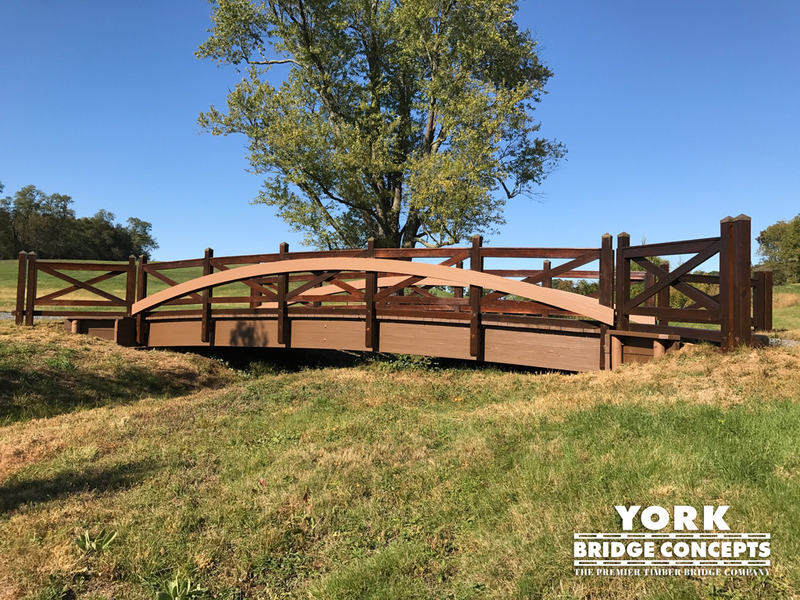 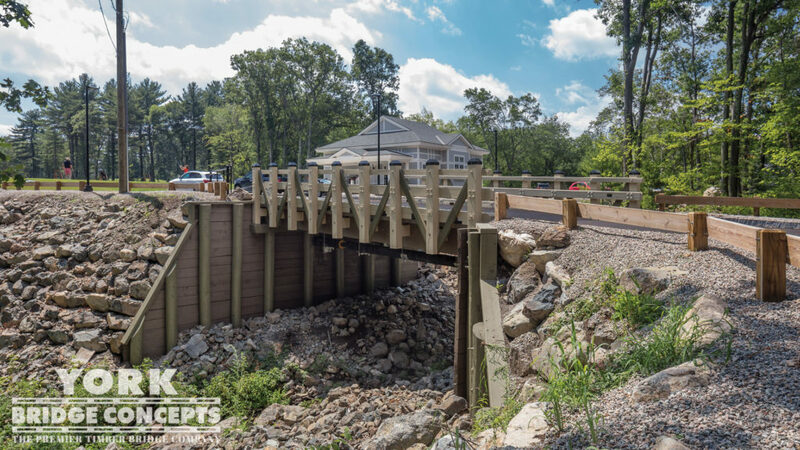 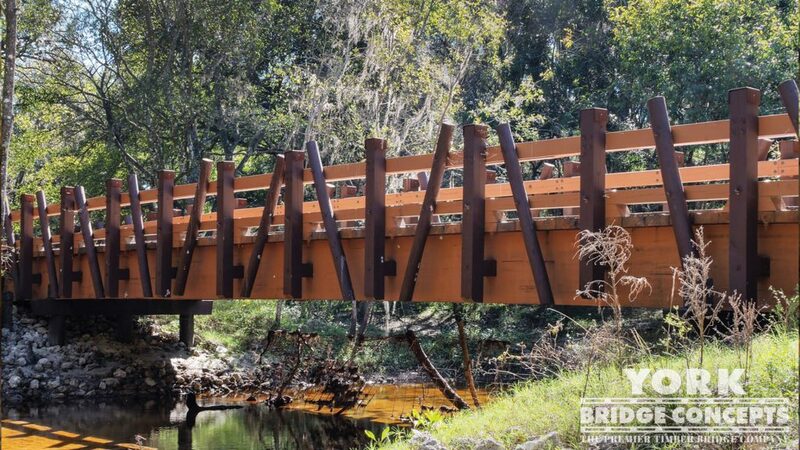 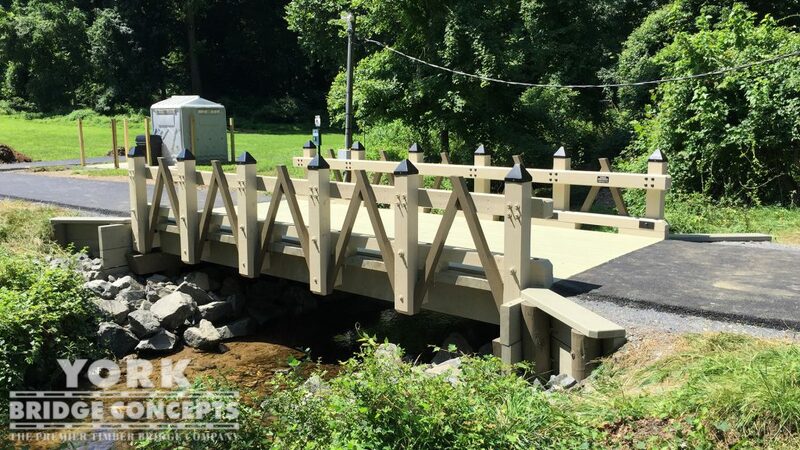 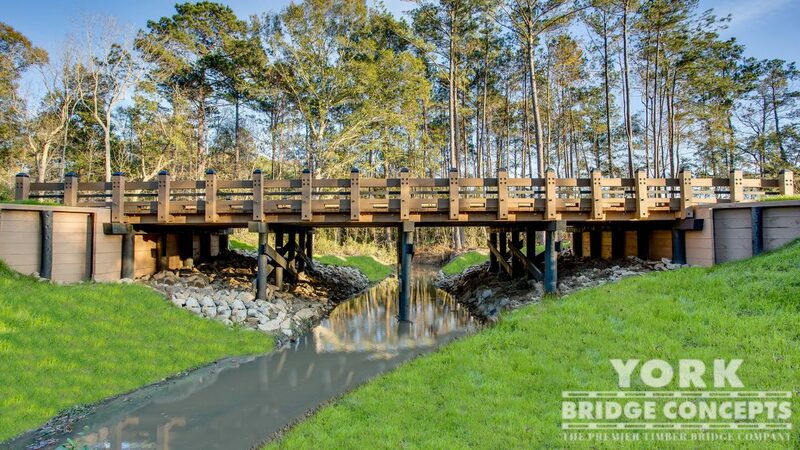 York Bridge Concepts™ has embarked on a path to design and build one-of-a-kind structures never before encountered at a resort destination. 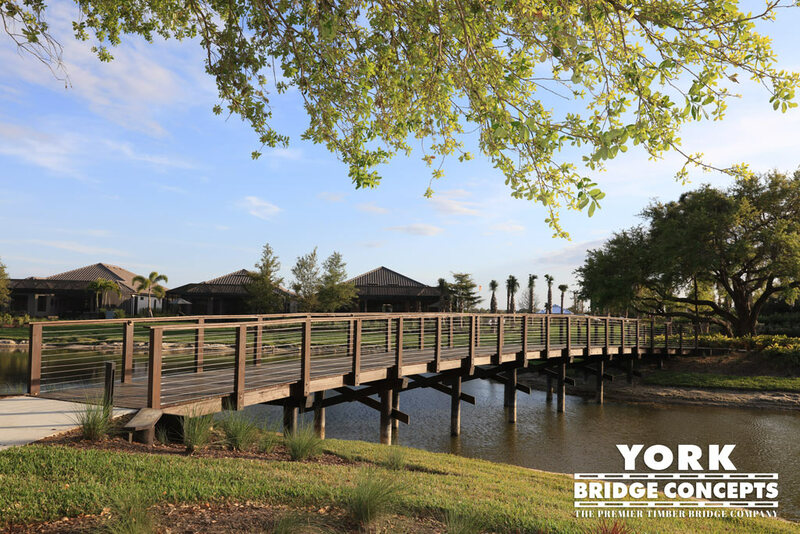 Neighboring the Moon Bridge, the Service Bridge is an 8 feet wide by 37 feet long free span structure spanning over the pools, featuring walking steps on each side with a landing area in the center. 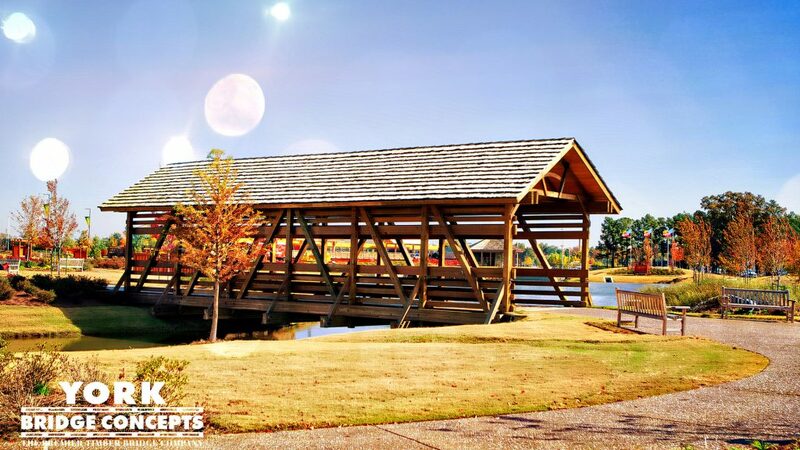 This structure is integrated into the JadeWaters Lazy River, along with the Moon and Accessibility Bridge – highlighting the park’s upscale amenities and features.